This post will describe my experience at the Chicago Marathon on 07 Oct 2018. Although I have participated in six marathons when I was 17 to 21 years old, this was the first marathon that I seriously trained for and raced competitively (that was the plan anyway). At first, I was apprehensive about sharing my experience as the Chicago Marathon was most certainly not sunshine and rainbows. However, sometimes you can learn just as much, if not more, from a less than ideal race experience than from a good one. Because of the poor road conditions, it took Emily and I about 9 hours to drive from Cold Lake to Calgary. As we got closer to Calgary, the weather deteriorated and we saw numerous vehicles in the ditch. It was so icy that most sensible motorists were driving around 70 kph rather than the posted speed limit of 110 kph. A motorist who was driving 100 meters in front of us lost control, spun around three times, struck the front end of his vehicle on the centre median and then slid into the ditch backwards. We stopped to make sure he was okay (he was) and waited with him until a tow truck arrived. Further on, we had to divert around a section of road that was closed to traffic. There was a snowfall warning in effect for Calgary and I saw on the news that this was the most snow Calgary had seen on 02 Oct in the past 104 years! I decided to fly out of Calgary rather than Edmonton because there was a direct flight from Calgary to Chicago O’Hare, the flight was much less expensive, the flight options were more numerous, and the flight was only 2:38 versus close to 6-7 hours flying out of Edmonton. The international departures area of the Calgary Airport was extremely nice. It looked new and recently renovated. The sun was shining through the big windows and it was quiet like a library. Hardly anyone was around and there were plenty of comfortable seats. The Chicago O’Hare airport looked quite industrial. I rented a car and drove to the Marriott hotel in Burr Ridge (30 minutes SW of downtown Chicago). Thanks to Emily for finding and booking this for me. This is a story in itself. If you’re interested in hearing about my impressions of the Nike Vaporfly 4% racing flat, what Nike touts as the fastest running shoe on earth, please click the “REVIEWS” section above. I drove to the race expo and joined the 45,000 other runners to pick up my race bib number. It was extremely busy, noisy and crowded and after an hour I was ready to leave. Most runners there were walking at a “Sunday Stroll” pace rather than the “move with a sense of purpose” pace that I like. Thankfully, I received the “discounted parking rate” of only $10 USD (compared to the $23 USD regular parking rate). The parking company is making $450,000 USD on parking alone over two days for this event. Not a bad deal for them. haha. I ate all my meals from the local grocery store called Brookhaven Marketplace. It is similar to Sprouts grocery store. They have a lot of imported foods and the prices reflect this. I usually buy a pre-cooked pasta dinner or salmon with rice dinner for $6 to $9 USD with a bottle of apple juice. I like that I can see exactly what I am getting and I also like the price (compared to eating at a restaurant). I was a little uncertain of what to eat during the marathon. I never eat anything on any runs even for long runs up to 2:15. There is a lot of selection of different gels, drink mixes and energy chews. They all seem slightly different in terms of composition but I’m sure they all do the same thing. I planned to take a gel before the start and every 30 minutes after that so I planned to carry 4 gels (1 in each hand and 2 in my back centre pocket). I also planned to to drink a lot of water and gatorade while on the course especially during the first half as was recommended to me by my friend, Karl Augsten (who ran the 2017 New York City Marathon in 2:31). I thought I felt quite good going into this race. I woke up at 3:30 am and left the hotel at 4:15 am. I arrived at the parking garage beneath Grant Park at 4:55 am and was ready for the race well in advance. I was so early that it was still dark out and difficult to see anything inside the portable toilets. It was exciting to warm up with some of the world’s best marathon runners including Galen Rupp. I also saw Dayna Pidhoresky and Melanie Myrand during the warm-up. I followed Tom McGrath’s (an experienced marathoner) advice to start on runners left at the very start. This worked out really well and there were numerous other Canadians in the same area including Brian Yorke, Eric Bang, Kyle Wyatt, Shelley Doucet, myself, and another Canadian female racer. For the start of a race with 45,000 runners, I thought there would at least be a “3, 2, 1 go” countdown or “on your marks, get set, go” but there was nothing, just the pop of the starter pistol. Thankfully, I could see a bystander (maybe she worked for the race organization) holding up one hand and clicking down the seconds with each finger in silence. I was very surprised at the thick density of runners from the start right up until at least 5 km. It seemed that everyone went out quite fast. Around 4 km or so, I caught up to some of the best elite women racers in the world and ran next to them, with a bunch of other men, for a few kilometres. My goal time for 5 km was 17:05 and I went through in around 16:45 to 16:50. I felt very relaxed even though I was not drafting behind anyone. I still felt quite fresh as I continued to run by myself. At 30 minutes into the race, I ate a gel with water. Throughout most of the race, with the exception of the last 5 to 10 km, I took gatorade at every station. My goal time for 10 km was 34:10 and I went through in around 34:05, I think. I was still ahead of schedule. At 12.5 km, the course makes a big “u-turn” and you go from running north to running south. As soon as I turned the corner to head south, I could feel a headwind and the next guys ahead of me were at least 100m ahead (Paddy Birch in a black Team Canada singlet with a group of guys). Still running by myself. 51:15 was my goal to go through 15 km and I remember being ahead of pace at this point. I still felt quite good. I continued to take in one gel every 30 minutes. I was still running into a headwind. At about 20 km, a guy in a blue singlet ran past me and made a motion for me to tuck in behind him. That was awfully kind. The thing I love about the marathon is that everyone seems to be willing to help out everyone else (rather than directly competing against them which tends to happen in other races). My goal for 21.1 km (half-marathon) was 1:12:04 and I went through half in 1:12:04 feeling smooth, strong and in control. Perfect. After 21.1 km, I was still keeping a decent pace but was starting to slow down. I was still running by myself. I really started to notice that my new Nike Vaporfly 4% Flyknit racing flats were not as comfortable as I thought. This is when things really started to get ugly. 27 km was definitely the point at which I thought about dropping out of the race. I was still by myself, people started to pass me and it continued to rain. At about 27 or 28 km (around 90 minutes into the race), my condition seemed to deteriorate rapidly. At about 28 km, I started to feel a little twinge in my right leg. I had felt this before (at a much lower magnitude) while running on the treadmill in the two days leading up to the race. I didn’t think it was that big of a deal. However, little things become big things very quickly (and they magnify not linearly but exponentially in a marathon). It was more than a simple discomfort. It was at a level where it was affecting the amount of power I could push off from my right leg with. My left leg felt fine. From about 27 or 28 km onwards, I was no longer “racing”, I was simply trying to get to the finish line. Not even get to the finish line quickly, just get to the finish line so I could get out of there. Things were quite bad in this section, I definitely thought about dropping out but did not want to let down my family, friends and all the people who had supported me. I thought that I may as get to the finish line. Besides, I had already paid the $220 USD entry fee, paid for the airline ticket, hotel, etc. May as well get my moneys worth. For pretty much the entire second half of the race, other runners passed me; only a few people at first but then more and more people as I progressively slowed down. It was extremely embarrassing to be passed by so many runners. Pacing - It is possible that I went out a little too quick in the first half. My half personal best is 1:09:24. I ran 1:12:04 for the first half in the Chicago Marathon, which I thought (at the time) was quite conservative. Even if I had run 1:15 for the first half, I would have still had a faster finish time overall. Right Leg - The biggest/main issue was my right leg (I think it was the hamstring behind my leg and deep down in my gluteus maximus). My right leg didn't feel 100% while running in the 2 days before the race. There was severe discomfort/pain in my right leg that got progressively worse. It was not just uncomfortable; I felt physically unable to generate any useful power out of the right leg. Not sure how this issue came about. A year or two ago, I felt the exact same thing in my right leg. It could be an overuse injury or maybe sitting for long periods of time could affect it as well (i.e. driving long distances like 9 hours and sitting for many hours each day for many months/years). I think I was in 70th place around 21km but as I gradually slowed down, many many many people passed me (about 130 or so) and I ended up in about 190th or 200th place overall. It was extremely embarrassing. I considered dropping out around 30km but instead decided to jog easy to the finish (at a pace that was slower than my easy pace). Gels - I took a gel every 30 minutes as directed by my coach (at 30 minutes into race, 1 hour, 1.5 hours, 2 hours). I definitely felt like my stomach/digestive system/bowel) did not like those gels. I had some minor stomach cramps but nothing major. I considered using the bathroom during the race but thought I would lose more time than I would gain. Racing Flats - I think the brand new orange Nike Vaporfly 4% Flyknit racing flats could have affected me as well. I think the extreme stiffness of that shoe could have made me use different muscle groups that I'm not used to. In addition, the forefoot and mid midfoot is quite narrow and after wearing the racing flat for 2.5+ hours, the centre of both of my forefeet were both blistered/skin folded over from being squashed inside the shoe. The shoes felt fine during the two 30 minute runs I had done in them before the race. Weather Conditions - The temperature was around +10 to +15C. Intermittent rain. Wet roads. Fairly windy. I ran most of the race by myself, which was ironic because I believe there were about 45,000 runners in the Chicago Marathon. Everyone faced the same conditions and therefore this was not really a contributing factor. Possible Contributing Factor - I think when things are not going well in the non-running aspects of your life, they can negatively affect your training and racing performance. The opposite is also true (as was the case for me in 2017). For example, losing half your life savings because you were posted to Cold Lake (the mini Fort McMurray) and bought a house just before the worst housing market downturn in the past two decades. Overall, I am extremely disappointed in my race especially considering how much time, effort and money that I put into it. It was very likely one of, if not THE, worst race I have ever run. It most certainly did not represent what I was capable of. However, I can honestly say that I don't think I could have done much about it on that day. Even if I went out slower, I think the leg issue would have still arisen. I am still trying to determine what good/lessons learned I can pull from the Chicago Marathon. I ran the first half in 1:12:04 (3:25/km avg) and the second half in 1:26:36 (4:06/km avg). I finished the race in 2:38:40, which although is a new personal best marathon time for me, it is not the time I was hoping for and capable of. The marathon is a beast and if anything is bothering you before the race, it will be magnified on race day. Trying new things before a 42 km race is a bad idea. Before this marathon, I had never used gels/water/gatorade on any run (even 2:15 long training runs). I also had never raced in the Nike Vaporfly 4% Flyknit racing flat before (I only ran two easy runs of 30 minutes each). Pay close attention to any aches/discomforts in the months, weeks and days leading up to a marathon. Don’t assume slight pains won't manifest into agony on race day. Consider not starting if there is any doubt regarding injury. For the first time, Emily and I had the opportunity to both compete in the World Mountain Running Championships. 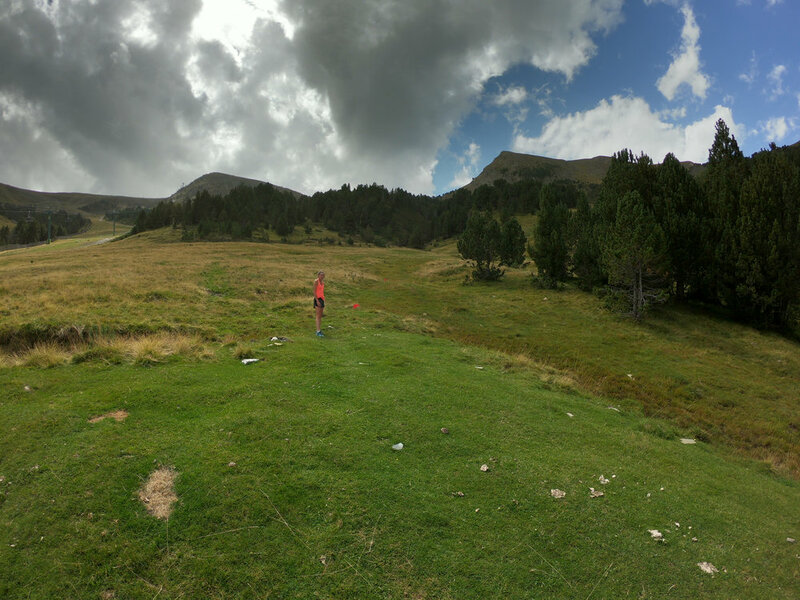 This post will describe my experience in Andorra (a small country of 71,000 people in between France and Spain) from the three weeks we went there ahead of time up to race day on 16 Sep 2018. Getting to Andorra from Cold Lake can take quite a while. We awoke at 4 am on 25 Aug 2018 and drove to the Edmonton International Airport, which is a 331 km drive away. We then flew from Edmonton to Montreal and Montreal to Barcelona, Spain. 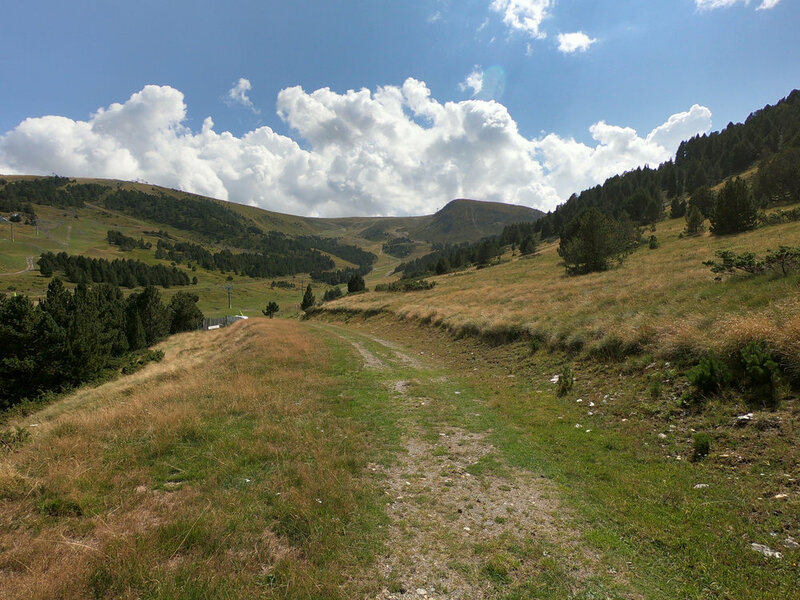 Once in Barcelona, we drove north for about 3 hours to a small town in the hillside called Pas de la Casa, Andorra. It took us almost 30 hours of travelling to get to Andorra, it was beautiful that we forgot how tired we were. We stayed at a apartment called Pierre & Vacances Princesa in Pas de la Casa, where the elevation was about 2,200m ASL. 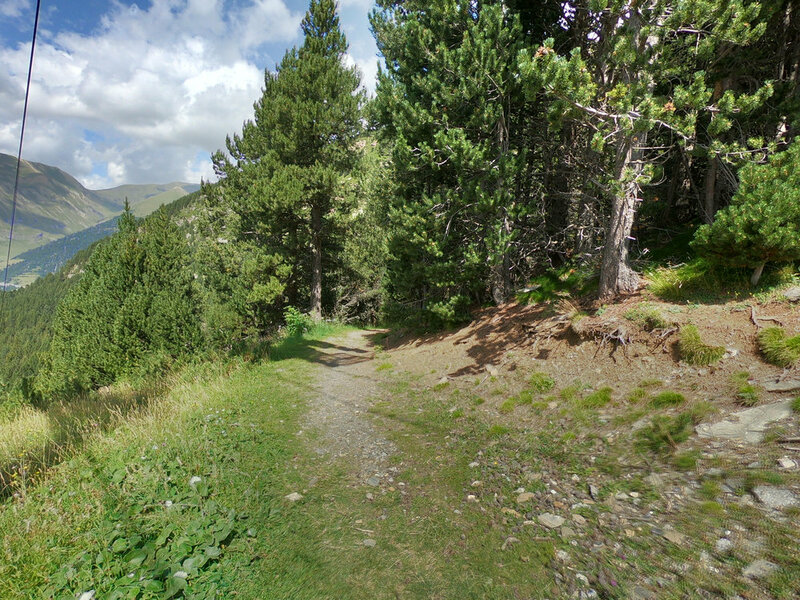 It was also only a 5 minute drive up a winding road to Port d’Envalira (a pass in the mountains at 2,400m ASL). Staying here made me feel like we were living in the clouds, which we were, just like in the movie Oblivion. We were extremely lucky to be able to train in such a beautiful place, which was also quite high up. When we first arrived, I noticed that I was breathing a little more heavily than I normally do particularly when walking up stairs. The pace of my runs also slowed down noticeably even though my perceived effort remained the same. After a couple of days in Pas de la Casa, we drove about an hour east to Font Romeu, France. We found another apartment there located at about 1,800m ASL. We specifically checked the GPS coordinates of the apartment and crosschecked with a topographic map to ensure we were staying at a decent elevation. 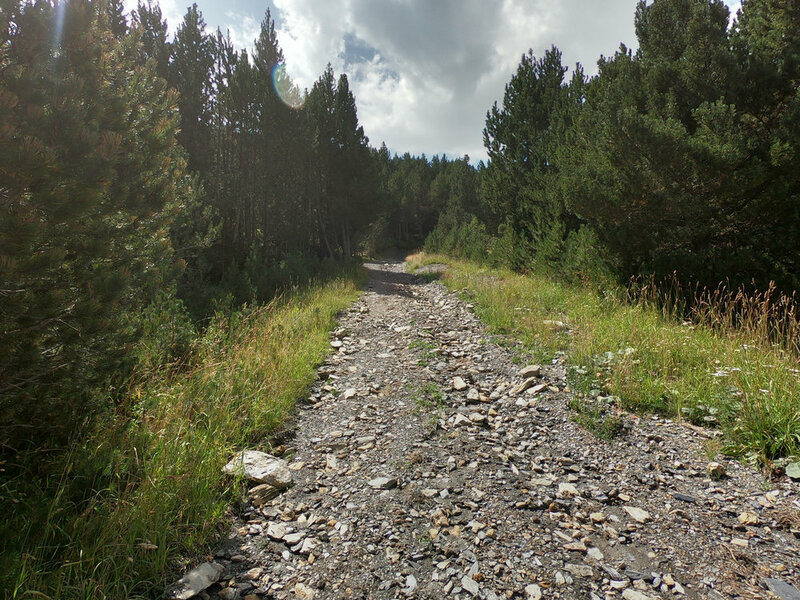 We specifically went to Font Romeu so we could train on the track at the National Altitude Training Centre but unfortunately, the track was completely torn up and being reconstructed when we were there. 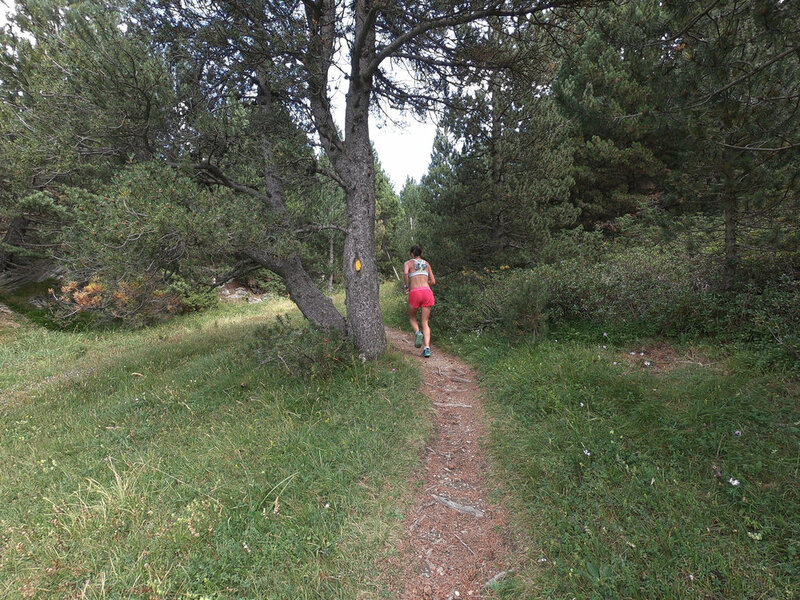 All was not lost though as there was an AMAZING network of trails in Font Romeu. We bought a map with 76 different trails shown on it. This was the best trail network I have seen anywhere in the world in my life. The signage was perfect, the trails were well maintained, there was ample free parking at the trailhead and the trails were very runnable. After staying in Font Romeu for about a week, we returned to Pierre & Vacances Princesa in Pas de la Casa for about four days right up until the time when the apartment closed to prepare for the winter ski season. We really enjoyed it here A LOT. 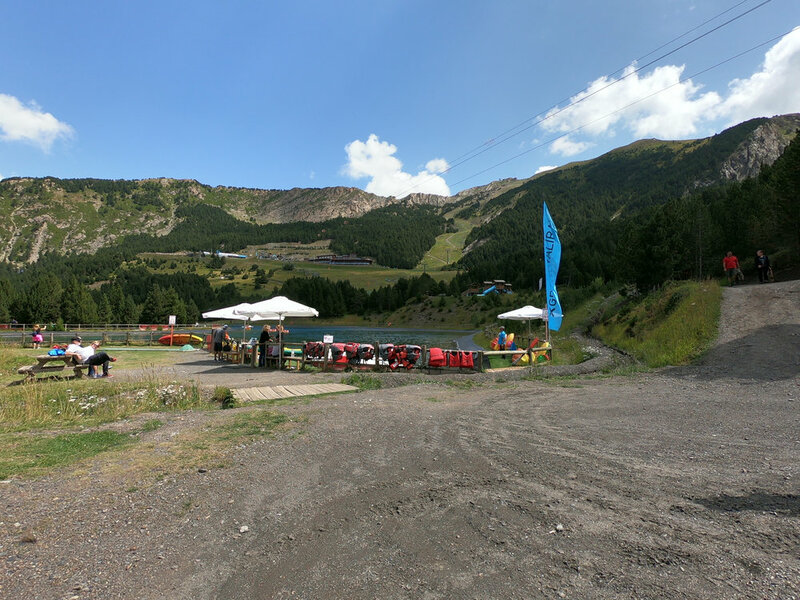 Two days before the rest of the Canadian Team arrived on 13 Sep 2018, Emily found a really nice hotel in Canillo that was right on the race course. Allow sufficient time to get over the 8 hour time difference. Train on mountain trails. The nearest mountains to Cold Lake are a 700 km one way trip (1,400km round trip) away. There are very few (if any) hills in Cold Lake to train on. In two weeks, we ran about 11,000m of vertical without even trying. It takes over HALF A YEAR of running at least twice per day to run the equivalent vertical in Cold Lake. Train at altitude. Cold Lake is at 500m ASL. 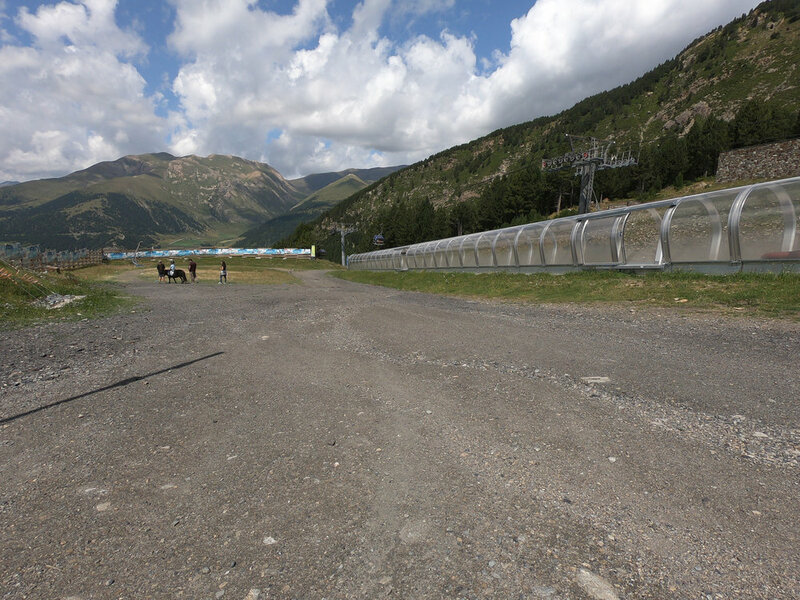 We trained at elevations of around 1,500m ASL at Lac de Matemale, France to 2,400m ASL at Port d’Envalira, Andorra. Become accustomed to race course. I didn’t just run over the race course, I studied it, I took photos of it and then a went back to my hotel and analyzed it. I discussed the race course with the course marker, Roxanne. I pretty much knew every twist and turn. By the time race day arrived, I could almost run the race course blindfolded (not really). We also love taking running vacations and think the best way to explore an area is on foot in a good pair of trail shoes. On 13 Sep 2018, Kris Swanson, Emily and I checked into one of the race hotels called Ski Plaza. It was an extremely nice hotel. There was a buffet for each meal of the day. The food was delicious and plentiful. The team spent at least 1.5 hours socializing at each meal and enjoyed everyones company. While walking over the upper section of the race course one day, we had the opportunity to meet the WMRA President, Jonathan Wyatt and Council member Sarah Rowell. Jonathan Wyatt placed 21st in the 2004 Olympic Marathon in Athens, Greece in a time of 2:17:45. He ran 2:13:00 at the 2003 Hamburg Marathon and is a multiple World Mountain Running Champion. Sarah Rowell placed 14th at the 1984 Olympic Marathon in Los Angeles, USA in a time of 2:34:08. She ran 2:28:06 in the 1985 London Marathon. The race was 11.933 km long with 1,028m of elevation gain and 117m of elevation loss. The race started in the town of Canillo at 1,515m above sea level and finished at the top of the Forn chairlift at 2,430m above sea level. The temperature was about +20C with a light wind, which I found to be perfect. I knew the course extremely well as I had run over it many times in the weeks leading up to the competition. There were a couple of very steep sections (45% incline) that lasted for 500m to 1000m. For a complete course check post with many photos, please visit my other blog post here. Team Canada was composed of one junior women, two junior men, one junior team coach (Allan Brett), four senior women, four senior men, one senior team coach (Sue Lambert) and one team manager (Adrian Lambert). The senior women’s race started at 10 am and the senior men’s race started at 11 am, which I found to be a really good time to race. I started my warm-up around 9 am and ran on the treadmill for 35 minutes; the standard warm-up for me. I prefer to be away from the nervous energy of the runners at the start line. The four senior men (Karl Augsten, Gareth Hadfield, Kris Swanson and Matt Setlack) checked into the start line 15 minutes before 11 am. I started in the 7th row back and in retrospect, that was a bad idea. In future races, I would recommend starting closer to the front of the line. Standing on the start line, I felt extremely well prepared for this race and was likely in the best physical shape of my life. There were 106 senior men on the start line, which was about 4 meters wide. After the starter pistol went off, it was a mad dash as everyone jostled for position while trying not to trip over all the surrounding runners. The pace went out very fast as expected since the first 1.3 km was only a 7% incline. Mountain running, and particularly a championship event like this one, is much more strategic than your standard 10k or half marathon road race. After the gun went off, the only thing on my mind was trying not to trip over the feet and legs all around me. As was to be expected, everyone had the same idea and bolted off of the start line in an attempt to get to the single track forest mountain trail that quickly bottlenecked and resulted in a slower pace (if one gets caught in the wrong spot). I ran fairly conservatively for this first section and quickly found myself quite far back in the pack. However, when I got to the forest trail, I felt quite relaxed and I easily passed 5-10 runners. 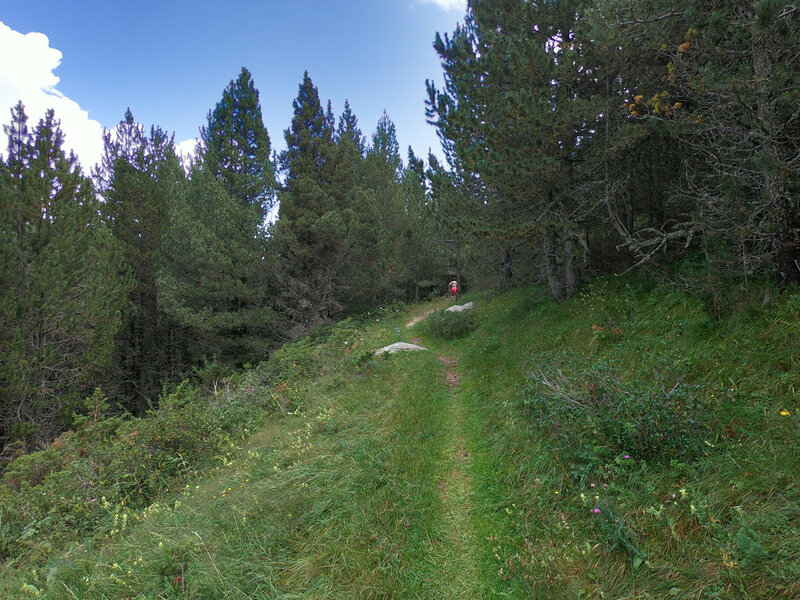 From about 1.7 km to 2 km, there were three switchbacks where we ran on a grassy gravel road. The right side of the path was smooth but the left side was quite rough and rocky. It was really odd but everyone arranged themselves in a single file line on the right side of the. path and practically no passing happened even though the grade was quite shallow. I got to the really narrow steep (45 degrees) forest single track feeling decent. I knew that at this point, I shouldn’t try and pass anyone since it would use up a lot of energy. Getting onto the gravel forest road, I felt quite good and passed a few other guys. I was trying to keep a constant pace. It was challenging to go from running up a relatively steep hill to running flat or downhill. It felt like the legs were stuck in a big gear and leg turn over was not as fast as it should have been. I arrived at the mid-station around 4.5 km feeling excited to open up the throttle on the downhill section immediately ahead. Unfortunately, there were two guys in front of me and I couldn’t open up the throttle all the way. I felt like I was braking just a little bit to prevent from running into the guy in front of me. As we were crossing beneath the gondola, I managed to pass a guy in front of me while yelling “on your left, on your left”. I hoped he spoke English or at least understood what I meant. I am glad that I didn’t go over the side of the trail as if I did, I would have taken quite a tumble. I was running so fast on the downhill section, I thought, “if I make one mis-step now, they might be taking me out of here on a stretcher”. It was definitely all or nothing. There was no holding back. For the 4.5 km rolling traverse section, I felt very good (maybe I wasn’t running hard enough?). I slowly closed the gap between me and the guy in front of me. At the end of the traverse section around 8.5km, I passed another guy while going up a hill. Everyone definitely sped up running down the grassy trail hill just before the refuge. I grabbed a water cup at the refuge, tried to pour it in my mouth but most of the water ended up on my face and chest. Up until km 10 of the race, I was feeling like I was running at an intense pace but nothing that I could not handle. I continually passed a number of runners throughout the first 10kms of the race (the race was about 12 km long). After the refuge, we turned right onto a boggy, grassy, steep ski slope. We crossed a stream and then the terrain got quite steep up a grassy path. All of a sudden, the two guys in front of me started walking. I thought about passing them (and in retrospect, I should have at least tried to pass them very early on) but I thought that I would expend too much energy on such steep ground and I would also have to run through grass that was about a foot tall. Maybe it would be better to try and pass on less steep terrain, I thought. I made the decision to walk behind the guy walking in front of me, and all the while I was thinking, everyone who I had passed is coming up fast behind me (just like approaching a car wreck on the highway). Up until this point in the race, I had been running almost entire thing and had only walked a short while between 2.3 km and 2.6 km. My momentum really suffered and when transitioning from walking to running, my feet slipped on the wet grass (I was wearing Brooks T7 racing flats that were at least 10 years old with minimal tread left on them) and I fell flat on the ground. The segment from 10 km to 11 km was definitely one of the steepest and most challenging sections of the entire race. Eventually once we reached 10.8km or so, I was able to run at a decent pace again and started closing the gap again. As the elevation increased, I noticed that some racers were more affected by the elevation than others. The race finished at 2,430m (about 8,000 feet) above sea level. Fortunately, since I had been training at altitude for the three weeks before the race and had run over the race course many times, I felt relatively good in the upper section of the course. There was amazing crowd support in the final 1.5 km of the race. I heard so many people calling out my name and cheering for me. One of the things I love about mountain running in particular is the camaraderie that is developed among athletes. I finished the race in 58th place overall (2nd Canadian) in a time of 1:05:23. I was very happy with my result and how the race went. This was better than my last uphill only race, World Mountain Running Championships in Bulgaria in 2016, where I placed 84th overall (4th Canadian). In terms of lessons learned, I think that if you want to do well at uphill only courses, it is a good idea to learn how to walk uphill faster. You lose way more time by walking slowly on the steep uphills than you gain by running super fast on the shallow uphills or flats. Also, if I was to race this again, I might consider wearing a racing flat with a little more substantial tread on the bottom. The worn out Brooks T7s were not ideal for the steep, boggy, grassy uphills. Here is a cool video of the race. I did not create it; I found it on Youtube. The race course is much steeper than this video makes it look. 77 senior women finished the race. The Senior Canadian Women’s Team placed 9th team of 17 teams. 106 senior men finished the race. The Senior Canadian Men’s Team placed 17th team of 25 teams. Canadian Armed Forced - I am extremely impressed with the level of support I have received from many people. I would like to thank the Canadian Armed Forces, 1 Canadian Air Division, the leadership at 4 Wing Cold Lake and my chain of command at the Aerospace Engineering Test Establishment for supporting my request to compete in the World Mountain Running Championships. PSP Staff - I would also like to thank the 4 Wing PSP Staff for submitting my competition request to the PSP National Sports Office and for the incredible support they have given me not only in this competition, but in all of the competitions I have competed in over the years. Thank you to Mr. James MacKenzie from the PSP Regional Sports Office and to Mr. Denis Gaboury from the PSP National Sports Office for supporting my competition request. Local Organizing Committee (LOC) - The LOC was responsible for organizing the entire event. They did an absolutely phenomenal job of organizing Worlds and I cannot thank all the organizers and volunteers for putting on a world class event. Thank you! Adrian Lambert, Sue Lambert and Allan Brett - Thank you to the Head of Delegation/Team Manager, Adrian Lambert for organizing all the administrative details, going to the technical meetings, managing all of the social media posts, taking care of race registrations and accommodation bookings. My Family - I would like to thank my parents, Wayne and Patti Setlack for their continuous support throughout my entire running career and my life. Thank you to David and Sue Tallen who have also been extremely supportive of my running. Running Room and Ronhill Thank you for your continuous support. You allow me to do what I love everyday. I am very lucky to have such amazing supporters and believe in you 100%. I am forever grateful for all the amazing support I have received. This article will outline my experience at the Edmonton Army 10k, which took place on Sunday, 19 August 2018. I have competed in this race a few times before but last year, the race course was different as there was road construction being carried out. 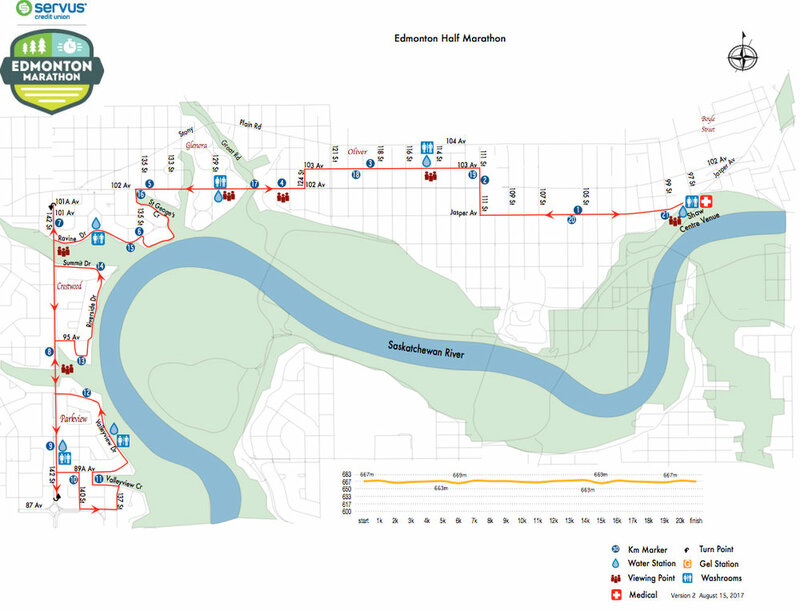 In terms of race courses go, this is an extremely fast race course; there are minimal turns (two right turns, two left turns, one 180 degree turn), the course is very flat, the elevation of Edmonton is 645m ASL, the wind is typically minimal in the morning and also blocked by the tall buildings and trees, and the temperature is nice and cool in late August. I drove to Edmonton on Friday 17 August 2018 and arrived at the race hotel, the Chateau Lacombe, which was right downtown and about two blocks from the race start (at the Shaw Conference Centre). The hotel is cylindrical in shape and the hotel rooms are pie-shaped. There were a few treats waiting for me in the hotel room. As you can see in the photos below, I was very concerned about the air quality with the extensive and widespread smoke coming from the BC forest fires. Many racers did not race because of the poor air quality and the race organizers gave racers the option of shortening their race distance for free. I was an ambassador for the Edmonton Army 10k so on Saturday 18 August 2018, I worked the race expo for a while in the morning before attending the Running Room Friendship Run. Unfortunately, because of the smoke, the Friendship Run was cancelled and instead John Stanton did a Question and Answer period with a few of the runners including myself. The night before every race, I always lay out my race uniform to ensure that I have everything. I then place my race kit in a running backpack. The black Ronhill backpack is the Ronhill Commuter Xero 10L + 5L. I have been using the grey older version of this backpack for several years and it has been working out well. The nice thing about having your race kit in a backpack rather than a fabric shopping bag is that you can do you warm-up and warm-down while wearing the backpack rather than having to stash/check it somewhere. I really liked the bright yellow/lime green New Balance race t-shirts this year. All race distances received the same shirt, which I think is a good idea. I do a lot of running on austere roads in northern Alberta and having a bright shirt to wear helps motorists see me better. The Edmonton Army 10k started at 10:30 am on Sunday, which is a lot later than most running races I have done. A few runners expressed their displeasure with the late 10k start time to me at the race expo. I personally don’t mind running a little later but running earlier is a little cooler. Thankfully, the smoke cleared on Sunday morning. As usual, I ran the treadmill for my warm-up of 35 minutes easy. I run on the treadmill before I race because I like being away from the nervous energy of the start line, having a washroom nearby, and running in a place where I do not have to run about dodging people and vehicles. I started the race at what felt like a decent pace and splits were very even throughout the race. 100m into the race I looked to my left and saw Jevin Monds running next to me. When I saw about five people in front of me, I got a bit concerned but my race experience kicked in and I told myself not to panic and to be patient. As we raced down Jasper Avenue, the front runners began to spread out and Jevin pulled ahead. From approximately 2-5km into the race Jevin and Dejene Guililat ran together about 20 meters ahead of Jesse Bauer and I. Throughout this time, Jesse and I raced one another and shared the lead. Around 5km I managed to break away from Jesse and slowly closed the gap between Jevin and Dejene. At about 7km, I caught up to them and felt a rush of excitement and energy. I tried to maintain my pace and gradually inched ahead of them. Dejene put in a strong surge and put a few meters on Jevin and I. I maintained pace and caught back up Dejene when the pace settled. At roughly 8.5-9km I managed to break away from Dejene. At this point, I ran as hard as I could and did not look back. My final kilometre was my quickest at 3:00 minutes per km. I crossed the finish line in second overall in a time of 32:22. Although it was not my best time, it was a tactical race and I was very surprised by my result because there were so many strong runners in the race and had been running in fifth place for most of the race. I would really like to thank all of the volunteers and organizers who volunteered their time to help out with this race. Also, big thanks to Brian Torrance, the elite coordinator for providing amazing support over the entire weekend. Thank you to the members of the Loyal Edmonton Regiment the excellent race expo displays, for marshalling during the race and for handing out medals at the finish line. Thank you for everyone who cheered for me during the race; I heard everyone and it gave me a burst of energy. Thank you! On Wednesday 29 August 2018, my wife, Emily and I decided to run over the course in preparation for the upcoming World Mountain Running Championships (WMRC) in Canillo, Andorra on 16 September 2018. I have competed in WMRC Bulgaria 2016 and WMRC Italy 2017. This will be Emily's first time competing in WMRC. We re-ran over various sections of the race course on 10, 11 and 12 September 2018. As of 12 September 2018, the race course has been officially marked with red triangular flags and red/white flagging tape. 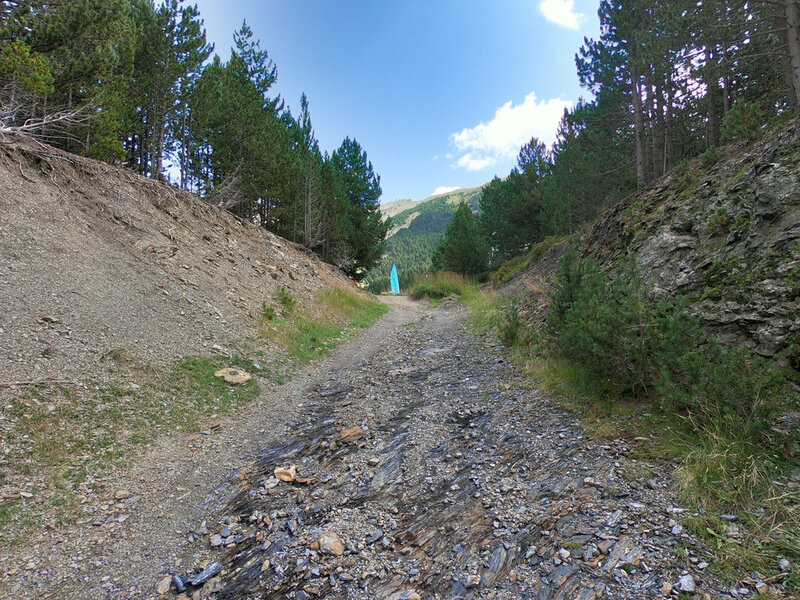 From the race website, "The Senior route starts in front of the Canillo Parish Hall (Edifici del Comú de Canillo) and continues along a 1.3 km stretch of tarmac with an average gradient of 7%. 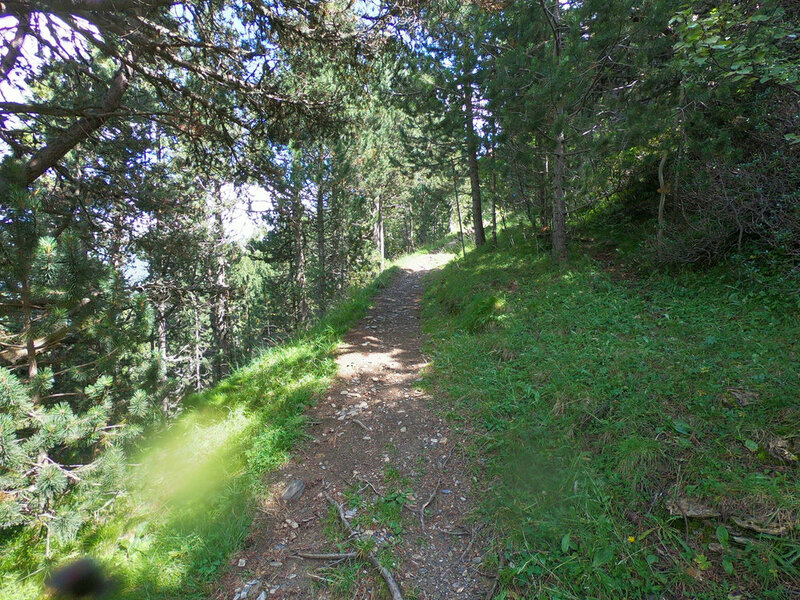 It then switches to a mountain path combined with a forest trail. Runners then pass by a man-made lake and reach the mid-point (4,720 metres from the start) at an altitude of 2,050 metres (feed stop 1). 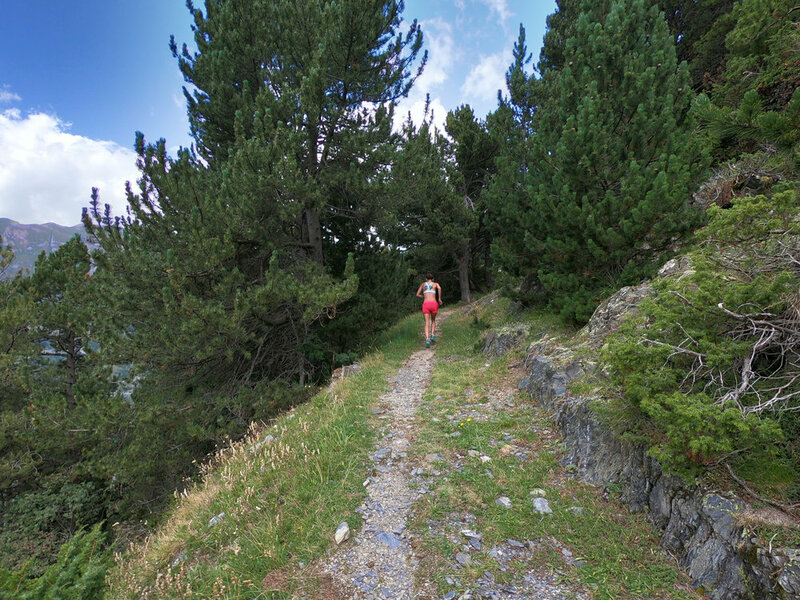 Here, the route dips down for a short while to the 5.8 km mark, following a trail into the woods with a number of small rises (but little elevation gain) until it reaches the Ribaescorxada refuge 9.2 km into the run (feed stop 2). 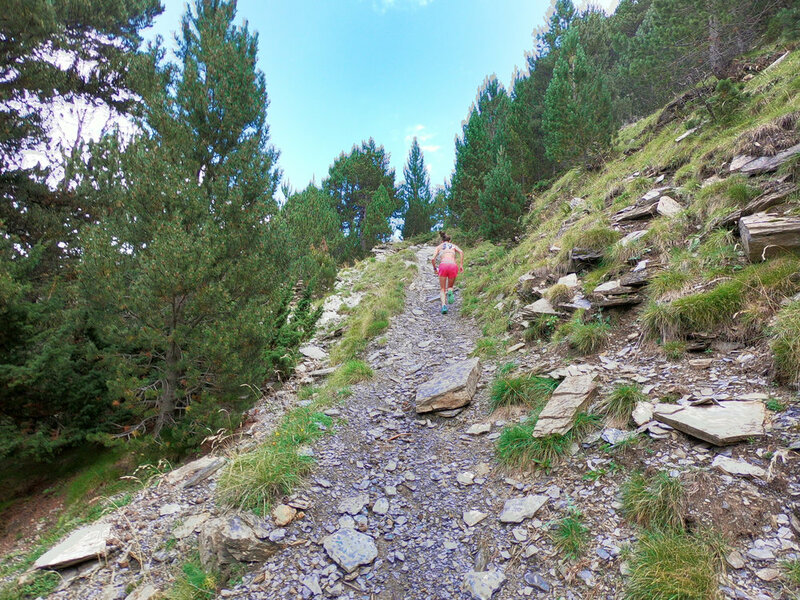 It is uphill on paths from here on until the 11-km mark, followed by a last flat section with a small rise to an altitude of 2,430 some 11.93 kilometres into the run (finish at Forn de Canillo chairlift)." Click on the map below to be directed to the https://www.openrunner.com/r/8038564 website. By Gondola - There is a cable car/gondola that starts right near the start of the race and ends at the "mid-point". The mid-point is 4,720m from the start. 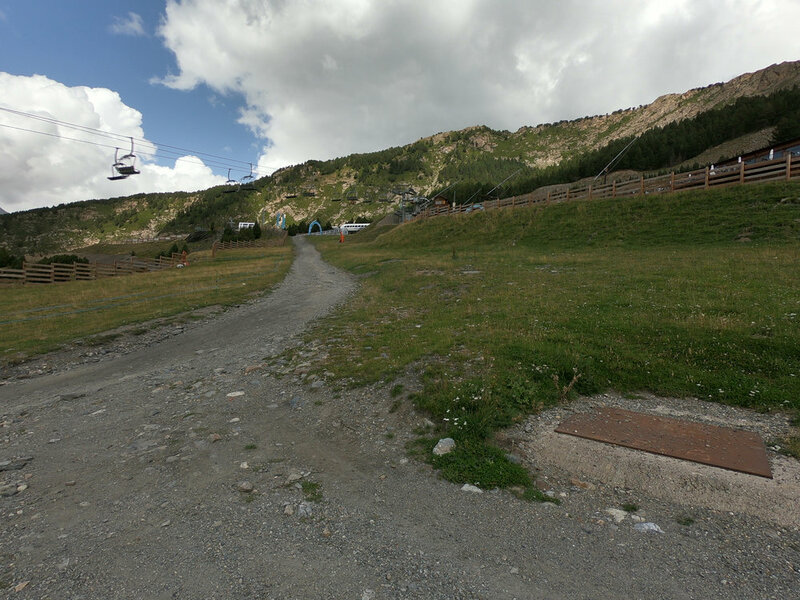 I have not personally taken the gondola before but info on it can be found here: http://ww2.grandvalira.com/en/mont-magic-canillo. By Car - Another option is to drive almost all the way up to the mid-point. There is a paved road called Ctra. de Prats/CS-250, which then turns into Ctra. del Forn. It is the one that we run on for the first 1.3k of the race that you can drive on. Instead of turning off this paved road around the 1k mark, keep driving on it all the way until the pavement ends. You can park your car and then walk up a gravel road for 700m or so to the mid-point. Once you pass under the chairlift, you should see some red flags going up the grass slope towards the blue arches/hoops. The red line represents the approximate race course. I took this photo from Mirador Roc Del Quer looking SE. I drew the red line myself and it is not perfect but does represent the approximate route. The following photos were taken by Matt Setlack. The perspective of all photos is from the point of view of the runner running the race. I believe that the photos I took make the course look less technical and less steep than it actually is. It is steeper than it looks. I would not underestimate the course. I think there are some sections where walking may be necessary such as the area just before the "mid-section" and in the area about 500m past the refuge. Compared to WMRC Bulgaria 2016 (1,380m up over 12.7km), WMRC Andorra 2018 (1,028m up over 11.7km) does appear to be more runnable. 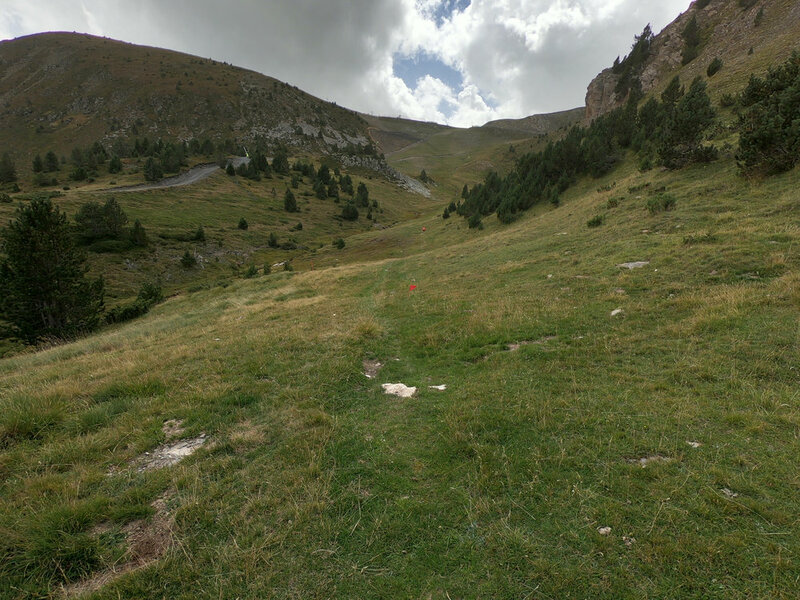 I personally prefer the Andorra course over the Bulgaria course and I think the finish times will be fast. Start area in front of the Comu de Canillo. This is the topographical map (scale 1:40,000, which was not ideal) I used. In the future, I plan to use a GPS track and/or mobile phone with data to determine exactly where the course went the first time. Before the race course was officially marked, there were various sections that were not straightforward and without a GPS, would be extremely difficult to determine correctly. The first 100m are on bricks before the route turns to asphalt. This is right next to that blue "P" (for parking) sign. You head up this road for another 1.1 km. From the course start, the asphalt/tarmac section is 1.3 km. Emily (in pink shorts) running on the asphalt section. The first 1.3 km are a steady uphill (average gradient of 7%). The white RV is pointing in the direction that the course goes. You make a right turn off the main road. This is just before 1 km into the race. There is a gentle downhill here. Emily is about 1 km into the race here. The race goes through the village of Prats. I'm pretty sure there will not be cars parked on the side of the road on race day. The white truck is parked at a fork in the road. The race takes the left fork and from there you go another 100m or so to reach the start of the trail portion. This is the very start of the forest trail portion. There is a red bunny rabbit marking the trail (seen on the sign on the right). The route goes up and to the left behind the building. This photo was taken just past the red bunny rabbit sign (seen above). The route goes up and to the right. There are wooden steps that are staked into the earth with steel stakes (concrete rebar), which protrude from the stakes a bit in a few areas. Taken at a T-intersection. You go straight through the intersection, following the red bunny rabbit sign. Following the red bunny rabbit. The course map shows the route going to the right here. This is about 2 km into the race. On one of three switchbacks before getting to the paved road. Come out (running towards the camera) on the gravel road on the right, turn right and go up the paved road for about 50m. Run up the paved road for about 50m and turn right on the gravel road on the right. After the first creek/river crossing, run up a gravel road and turn left on the narrow single track path. Take the left fork and go up a steep single track. One of the steepest sections of the entire race course. Approximately 2.6 km into the race. Crossing back over the stream/river for the second time. Gravel road (ski run in winter). This is about 3 km into the race. The gravel road is nice and smooth in this area but changes to rougher rock/gravel later on. The rock is a little rougher here. Just before getting to the man-made lake, where the blue flag is. This is the man-made lake at 4 km into the race. The race map shows us going around the left hand side (over the wooden boards in this photo). HOWEVER, as of 15 September 2018, the actual race route has been marked with red/white flagging tape and the route goes around the RIGHT hand side of the lake (NOT the left hand side of the lake). The path is to climber’s right of this gravel path. 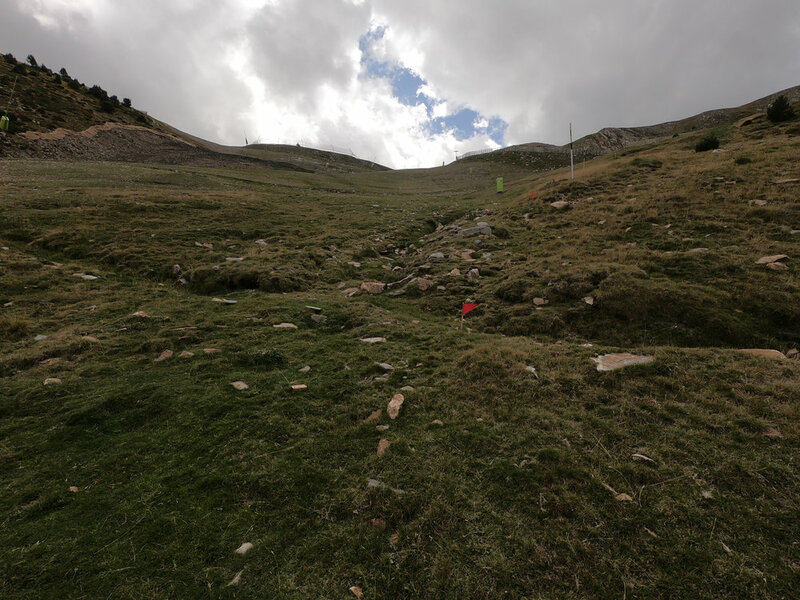 This is just past what the race website refers to as the "mid-point" of the race (4,720m from the start and 2,050m elevation (feed stop 1)). I believe we run through the blue arches. You are aiming for the bottom of the tube and running just beneath the gondola in this photo. The course is downhill from here to the 5.8 km point. This is just beneath the gondola where you enter the forest. More downhill. You pass by a horse display (where the three people are standing) and then run a few switch-backs downhill. You get to an open meadow, which you run around the right side (along the stone fence). The small opening between the logs (next to the sheep display) has a black arrow on it. The meadow is just past 5 km into the race. The opening between the logs. I believe the black x's mark the WMRC route. I also saw blue circles, red circles, yellow circles, orange circles and grey metal poles but I don't think those are for our race. Following the stone fence around the meadow. This section is still downhill on grass and some rocks. The start of the single track. Mostly dirt with some rock and some grass. 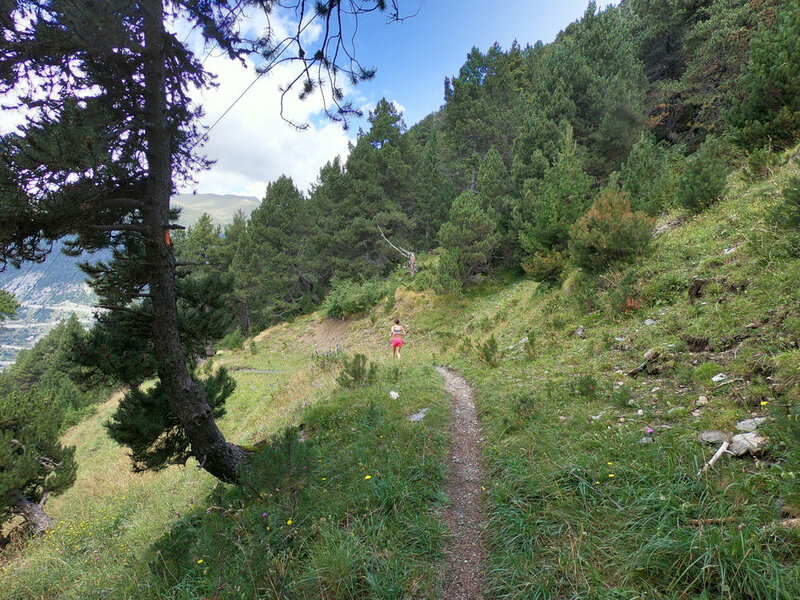 From about km 5 to km 9, the single track trail traverses around the mountain to another ski resort. From km 5.8 to km 9, the course is relatively flat with some small up and downs. More single track, still going downhill. Passing beneath the gondola still going downhill. Where this photo was taken, there are wooden steps going up and to the right just beneath the gondola; do not take these steps. I'm quite sure that the course will be really well marked on race day though. One of the uphill sections. I am not sure what the yellow, red and blue paint is for. Typical terrain from km 5 to km 9. Another of the uphill sections. The single track trail widens up a little just before you enter a wide grassy trail. This is the wide grassy trail, which starts at about km 8. Mostly downhill until the Ribaescorxada refuge at 9.2 km into the race (feed stop 2). The wide grassy trail to the refuge. More of the wide grassy trail with some dirt/gravel. This is the Ribaescorxada refuge (9.2 km into the race). We run right past it. At the refuge, the trail goes downhill for a short distance until the gravel road, then turns right. The race finishes to the right of the dark hump/mountain/hill in the middle of this photo. The gravel road. This is at a different ski resort to the ski resort we ran past at about halfway into the race. Just past the refuge, leave the gravel road and run on the grass up to the right. It is hard to tell, but we are aiming for the green path just to the left of the trees. Follow the red triangular flags straight up and to the right. The author/photographer, Matt Setlack standing on one of the steepest sections of the entire race course. Continue up the grass ski slope. The grass is long and the trail is faint but I think it will be well marked on race day. The course flattens out here. A steep section a few hundred meters before crossing the gravel road. Cross over a small trench, then cross the gravel road. We are aiming for the grass on the inside of the turn. We go around the far side of the far fence. Around 10.8 km or so. About 11 km into the race. Less than 1 km to the finish line. 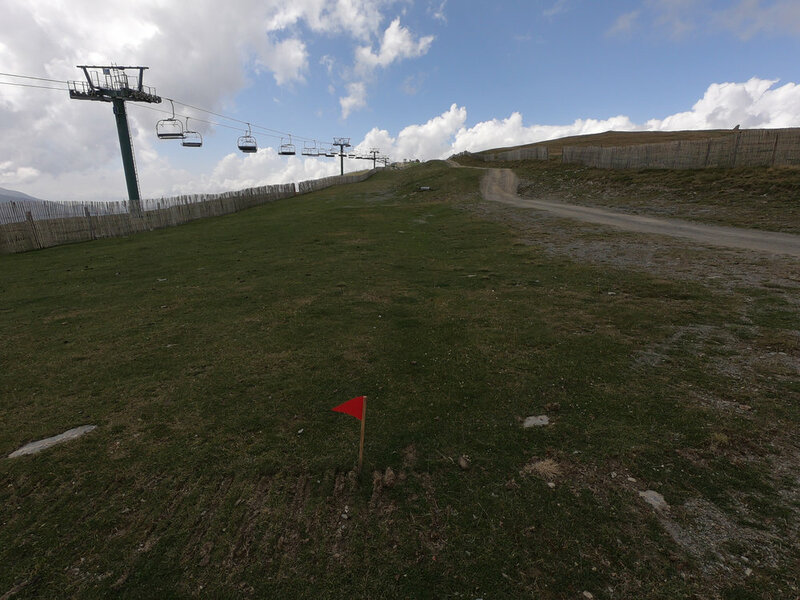 The course goes up and to the right and parallels the ski lift that we see in this photo. 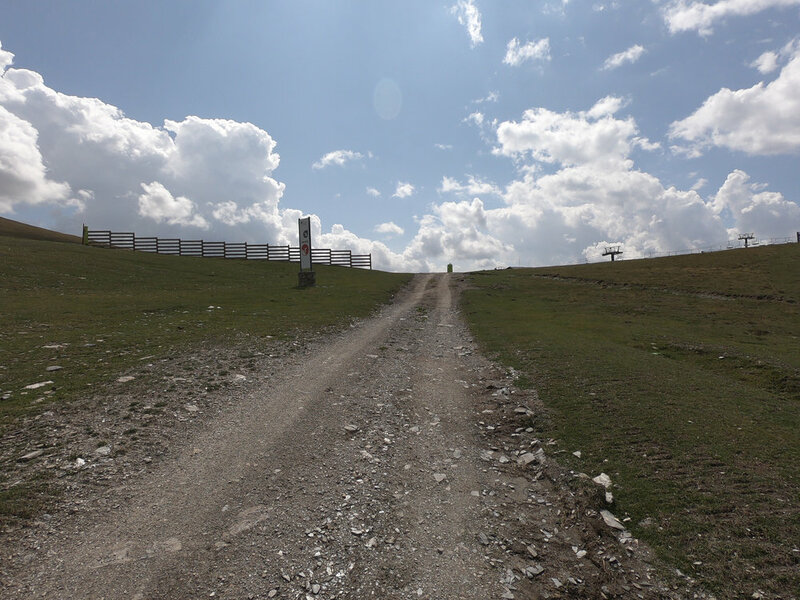 From here until the race at 11.93 km (2,430m ASL), it is relatively flat. The red flags mark the way. Run straight ahead, cross over the road and then bend to the right (uphill) nearly underneath the chairlift. The red flags show us going uphill along the fence on the left (not on the gravel road). We run nearly underneath the chairlift. This is about 11 km into the race. I hope you enjoyed the photos and short descriptions. If you have any questions, feel free to email me using the "contact" button above. Good luck to all racers competing in the World Mountain Running Championships 2018! 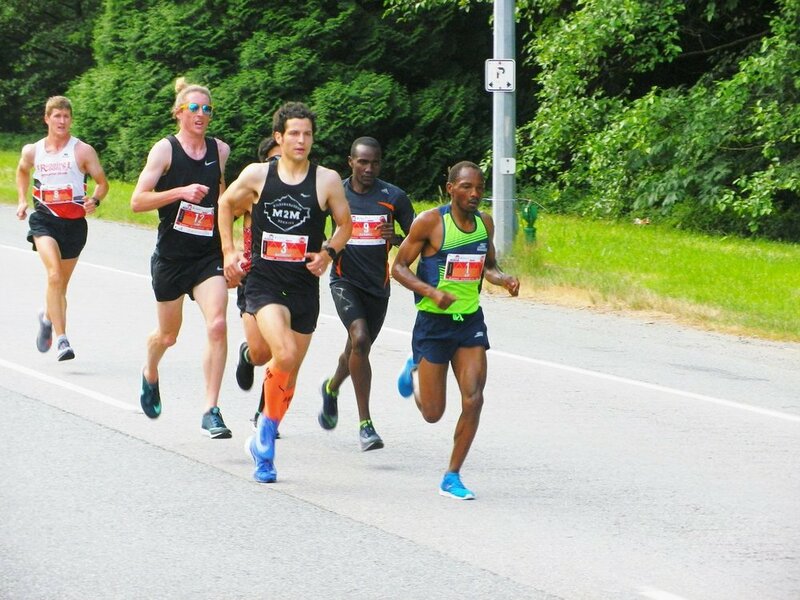 This was my first time racing the Scotiabank Vancouver Half Marathon, which took place on Sunday 24 June 2018. The day before the race, Emily and I drove over the course to ensure we knew all of the turns beforehand. On the morning of the race, I checked the YVR METAR and saw that the winds were 7 knots from the east, which I knew might affect me on the section near Jericho Beach. I really like the format of Dayna Pidhoresky's blog posts (Dayna placed 1st in the Scotia Half) so this blog post will follow her format. Dayna's website is www.daynapidhoresky.com. Going into this race, I felt fairly decent. For the two weeks leading into this race, I had been waking up at 2:45 am and running to work at 3 am everyday. There was also a heatwave in Cold Lake, which made it a little challenging sleeping when it was +25C in the house. In any case, getting up this early probably helped me to get up early the morning of the race. The race started at a fairly decent clip but then seemed to slow down after the first right turn. I found myself in the lead pack and was very surprised that runners were not running the tangents. After the first turn, I literally pointed at the next corner and said, “let’s run the tangents”. Running down Marine Drive was quite relaxed with Kip Kangogo, Tony Tomsich and I in a pretty tight pack. I ran in the front for a bit but then thought it would be more wise to draft off another runner. While running back Marine Drive (slightly uphill) after the turnaround at about 3km, the lead pack started to space out a little bit. I found myself in 6th as seen in the photo below. At about 5km, there were numerous guys ahead of me and then a couple guys with me. I focused on keeping a decent pace and running the tangents (which, for some reason, nobody in the lead pack chose to do). I would be curious to see their GPS distance for this race compared to mine. At km 7, I broke away from the other two guys I was with (in the 2nd pack) and then I was all by myself. I ran by myself for most of the remainder of the race. I focused on closing the gap on Benard who was about 50-100m in front of me. It was around 10km that the course levelled out near the beach. There was a bagpipe band there and I was really impressed by this. I thought I would run the downhills faster than I did. Unfortunately, it felt like I was unintentionally breaking with each foot strike. From km 17 to km 18, the route was a little confusing in a residential neighbourhood. There were several turns and since I had never run this race before (and was completely by myself), I had to yell out to the volunteers on several occasions asking them which way to go. At km 18 just before the Burrard Street Bridge, I heard Jim Finlayson run up from behind me and then pass me. I could hear him for the past km or two. I used the cheers from the sidelines to gauge my distance. Spectators would cheer for me, then I would count and when I heard the spectators again (cheering for Jim), I would know how many seconds of a lead I had. I put myself in Jim's head and asked myself, what he must be thinking. When Jim passed me, I thought, “this is a race”. If he is going to beat me, then he is going to have to work for it. There was a gap of about 10-15m between us, with Jim in front. After we crossed the bridge, I was completely focused on catching back up to Jim. It was as if I was possessed. Nothing else mattered. We were going down a slight decline along Pacific Avenue and Jim could definitely hear my breathing and footsteps behind him. He looked behind him several times (likely to see if there was anyone behind me). When I saw the km 20 sign, I passed Jim and ran as hard as I could. I thought Jim was right behind me. At this point in the race, Kip, Tony and Benard were ahead of me. I thought I was 2nd place Canadian and if Jim finished ahead of me, I would then be in 3rd place Canadian and lose several hundred dollars of prize money. For some reason, I had it in my head (wrongly) that losing one Canadian place would cost me $700 so that really helped me run a lot faster. According to my Strava account, I ran km 19 to 20 in 3:13/km, km 20 to 21 in 3:10/km and the last 220m in 2:44/km. My total time was 1:10:16 and I finished 4th overall. I have run more per day in the past month than I have ever run in my entire life. To be exact, my Strava profile tells me that I ran 867 km between 01 and 31 May 2018, which is an average distance of about 28 km per day, everyday (while working a full time job). It took about 74 hours of running to cover this distance, which is about 2 hours 23 minutes of running each day. This article will shed some light on how and, maybe more importantly, why I did this. Running and completing the AETE Step Challenge are intertwined so they will be both discussed in this article. My Strava training log showing distance run in km. Why did I run this much? Firstly, I wanted to win the Aerospace Engineering Test Establishment (AETE) Step Challenge and earn two days off work. Secondly, I want to build a solid base of training in preparation for the upcoming summer racing season. I also saw it as a challenge and I wanted to see if I could break 1 million steps in the month of May. I did so by doing 1,060,623 steps between 01 and 31 May 2018. That's an average of just over 30,000 steps per day. How did our team do? I was on Team Charlie with Capt Scott Blakie, MCpl John Visser and Cpl JC Bouchard-Frigon. We placed 1st overall with a total step count of 4,086,963 for the month. Individually, I walked the 6th most steps. Perhaps what amazes me the most is the fact that I ran 867 km and yet, still placed 6th overall. If I ran this far, I cannot imagine how many km the five people ahead of me walked/jog/ran. I have an incredible amount of respect for them, especially considering that many of them have children at home. How did I run so much? I remembered that "you become what you think about" (so be careful what you think about) - having a positive attitude is like a chain reaction. Time - running this much takes a huge amount of time. However, one thing I realized was how much time I wasted staring at a screen (often on social media) outside of working hours. Running this much really reduced the amount of time I spend in front of an electronic device. Setting goals is incredibly important - Without goals, you have nothing. It's what drives me and gives me direction. In running, I often register for races and set time or place goals for myself. This keeps my working towards something tangible. I was accountable to my team - during the step challenge, I texted my team the number of steps I had done the day before. This really motivated me to try and get as many steps as possible. In running, it's really important to have a coach who you can report back to, otherwise, it's way too easy to skip a workout/run or run less than planned. Being a member of a team really helped. I did not want to let my teammates down. I did not become a slave to Strava or my GPS watch - I rarely look at my GPS watch; I just start it at the beginning and stop it at the end. I usually don't even stop it when I bend down to tie up my shoes. 99% of my training is done by effort. I don't tie my shoes...ever - I just slip my feet and out. This saves me at least 5-7 mins per day. Routine - having a set routine with the same timings everyday made it a lot easier. When things change like during travel, that's when it becomes a lot more challenging to train. I rarely drove the car anywhere - Instead, I ran. On my run commute home, I pass right by the grocery store so can easily pick up food for dinner. Note: AETE normally has PT (gym) class on Tues and Thurs mornings. However, since I was in French class the entire month of May, I was unable to participate in morning PT and had to do the stepping outside of working hours. My Strava training log showing hours run. In the morning, I bring a bag of food on my back (5-10 lbs worth). I run with a Ronhill Commuter Xero 10L + 5L pack and it works very well (over 2,000 miles on it so far and it is still going strong). I eat constantly during the day instead of eating a bunch of food at once. I like REAL food (strawberries, blackberries, blueberries, carrots, bananas, celery, cucumbers, peanut butter sandwiches on grainy bread, cheese, yogurt and sometimes Clif bars). I drink water constantly and have a 1L water bottle on my desk all the time. I make sure my urine rarely, if ever, looks like apple juice (it should be clear like water). How did I not get injured (esp. after running 250 km in last week)? I think my body was fairly used to the distance. I paid very close attention to how I was feeling and ran slower or less distance if I did not feel 100%. Gradual buildup of weekly distance. The weekly distance leading up to May was: 29/67/102/108/127/180 km so I would say that I gradually (for the most part) increased the weekly distance). Before I did the 250 km week, I had already run around 180 km per week for the previous three weeks. I switched running shoes everyday - I never wore the same pair of shoes two days in a row and the shoes that I did wear were relatively new. Road surface - because the roads are cambered, I ran on alternating sides. On busier roads or roads with less of a shoulder, I ran facing traffic and on wider/slower roads, I ran with traffic. Pace - the pace for almost all my training is quite slow. Soft surface - For my lunch runs, I ran on the treadmill at 1% incline or on the Lynx Trail, which is mostly sand. I avoid concrete sidewalks like the plague. For shoes, I mostly wore the Hoka Clifton 4 and 5, Nike Pegasus 35 (orange shoes in photos below), Adidas Solar Glide ST and Salomon Sense Ride. I usually wear a white hat with a black under beak, polarized Zizu TRX sunglasses, lightweight Ronhill Stride S/S crew t-shirt (or a bright yellow or orange t-shirt), Ronhill Everyday Split shorts (really good proper running shorts), lightweight hilly mono skin socks or Wigwam Running Room polyester socks, a Garmin 230 GPS watch, Ronhill Stride Windspeed jacket and Ronhill Commuter Xero 10L + 5L pack for run commuting. Last but certainly not least, I carry two iPod Shuffles with electronic dance music and sometimes famous speeches or motivational music. It all started with the inaugural AETE Step Challenge, which was the creation of CWO Howell. AETE members voluntarily broke themselves up into teams of four and then walked..and walked...and walked. The team who accumulated the most number of steps in the month of May would be granted two days off work and the 2nd place team would receive one day off work. The purpose of the Step Challenge was to promote an active lifestyle at and outside of work. At the start of the Step Challenge, the PSP came to AETE and offered a body composition test for anyone interested. They also returned at the end of the Step Challenge to do another body composition test (the results of this test did not factor into the scores). Steps were reported each morning to designated individuals within the unit. Our team followed a Blitzkrieg strategy from the beginning hoping that by getting so far ahead of everyone else from the very beginning that others would become so demoralized that they would not pursue. I believe this partially worked. The only thing was, it wasn't just pushing hard from the beginning and then slowing down, we pushed hard from the beginning and kept pushing hard the entire month. I thought everyone would go out super hard and then fizzle out. However, I was really surprised when people went out hard and kept going. Before the Step Challenge started, I was running about 20 to 25km per day but quickly realized that this meagre amount would not be enough. I soon increased by daily distance to three runs and closer to 30km per day with two to three longer runs per week after work. A typical long run of about 30 km would give me about 20,000 steps. Number of steps walked in month of May 2018. CWO Howell walked about 1.5 million steps! (I'm in purple at just over 1 million). On day 1, I ran past my friend, Jeeva who was walking to work. However, instead of parking in the AETE parking lot, he had parked at the Tri City Mall parking lot 5 miles away and was walking to work. It took him 1 hour and 20 minutes each way! One of my friends used the elliptical machine for 4 hours each day! John and JC even started going to the gym at 4 am and walking on the treadmill for 2 hours before work. Overall Stats. Top blue line is daily max, middle green line is daily average and bottom yellow line is daily min. Towards the end of the Step Challenge, John and JC set a goal to break the daily max steps. They started walking on the treadmill at 12 midnight and walked until 6 am, walked all morning and then came back in the evening and walked even more. John ended up doing 105,000 and JC did 107,500 steps, which is incredible. That is A LOT of steps! We are capable of so much more than we think. One of the biggest things that changed during May was that initially, if you were to tell me that I was going to run around 180km per week for 4 weeks straight, I'm not sure I would have believed you (the most I had ever done in my life before this was about 170 km per month). However, breaking it down into small chunks (goals), makes it a lot easier to accomplish. Like Jacob Puzey says, when the going gets tough, sometimes you just have to set your sights on running to the next lamppost. The purpose of this post is to share my experience at the Ottawa 10k and, for those who may be interested, to give a brief explanation of what Canadian Armed Forces (CAF) Running Nationals are. The Ottawa 10k is considered the Canadian 10k National Championships as well one event of the Canadian Armed Forces National Running Championships (the other events are 5k, 21.1k and 42.2k). On Fri 25 May 2018, I woke up at 4 am, drove 4 hours to the Edmonton Airport, flew 2 hours to Winnipeg, flew 2.5 hours to Ottawa and then took a short taxi ride to downtown Ottawa arriving around 18:30 hrs local. My roommate for the weekend, Conrad who is from Yellowknife, Northwest Territories actually took less time to travel to Ottawa than me! Upon checking into our student dorm accommodations at 90 University Private (Stanton building), my younger brother, Anthony picked me up and gave me a personal tour of the RCMP Musical Ride Stables located in Rockcliffe. It was interesting and I greatly appreciated it. The atmosphere at the start line was electric. The electronic dance music was extremely good and they had the best energy/ambiance that I have felt at a start line anywhere before. The elite women started at 18:26:20 on Sat 26 May 2018 and the elite men/masses started at 18:30:00. As a male athlete, I like the women/men staggered start; to me, it equalizes the field and gives you a good idea of how you really compare to your female counterparts. It also makes it a fair race as the women are not able to able to draft/pace off the men for the entire race. As usual, the start was chaotic and felt like thousands of buffalo trampling the ground. I started very fast (I saw 2:50/km on my gps watch) but then got into a good groove after 500m. I deliberately kept a conservative pace of around 3:15/km as I was not sure what I was capable of this early in the season (and I had run around 180km per week for the past three weeks). I kept this pace and slowly started to pass people for the first 2-3km. I was extremely surprised that nobody in front of me was taking the tangents (i.e. running on the inside of a turn / running the invisible line that the race distance was measured on). Just before the finish line. Photo by Michael-Lucien Bergeron. I went through the first 5k in 16:12 and the last 5k in 16:41. In the Ottawa 10k, it is very unusual to run the second half faster than the first half due to, in my opinion, the winding nature of the second half of the course. The 1st place runner, Andamlak Berta ran the second half 22 seconds slower than the first half. The first Canadian, Evan Esselink, ran the second half 33 seconds slower than the first half. The 2018 Ottawa 10k was the most comfortable 10k I have ever done. I was really conservative with the pace, thinking I was going to blow up (I had done very few quality sessions over the past few weeks) but that never happened. It almost felt like I was doing a tempo session. I really enjoyed the experience. Conditions were ideal and the competition was very strong. 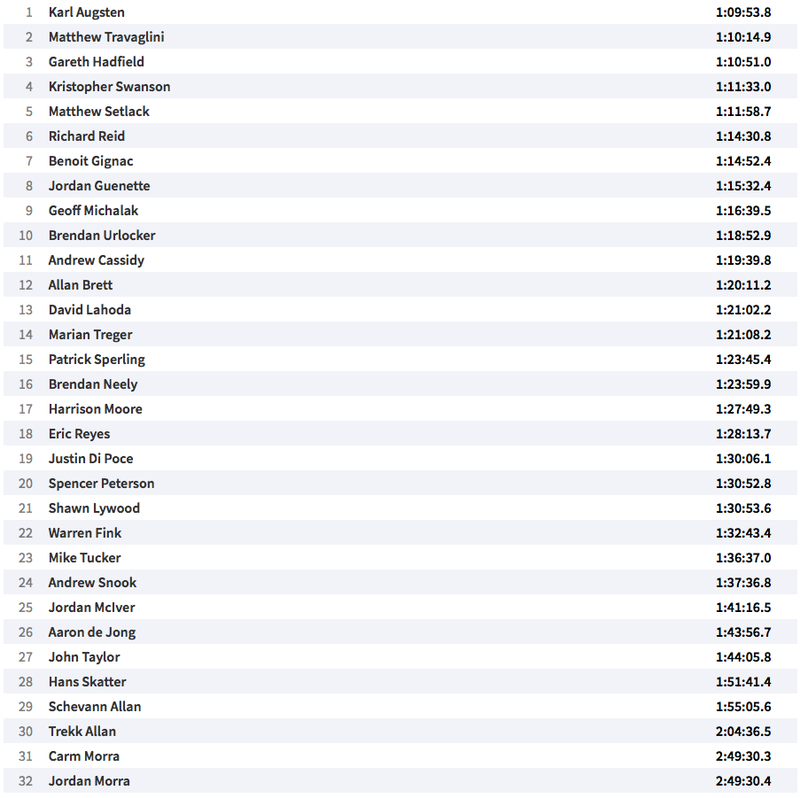 I ended up running 32:52 placing 29th / 20th Canadian / 1st in CAF. Overall, I am happy with the Ottawa 10k. I do consider it a rust-buster and I am looking forward to the upcoming race season. I would like to thank all of the people who made competing at CAF Run Nats possible including, but not limited to, Ms. Kori Klein, and all of the 4 Wing and Ottawa PSP personnel. If you want to run faster, I believe that the majority of runners could benefit from running MORE. In my personal experience, leading into the Ottawa 10k this year, I barely did any quality sessions (see my STRAVA training log here) but instead focused on building a good foundation for the upcoming summer racing season (as I was away on Phase 1 PFT during the winter months and did not run as much as I should have during this time). I averaged about 180km of running in the three weeks leading into the Ottawa 10k. I also did not taper for this race. Nonetheless, I still ran pretty much the exact same time (and placed in the exact same place), with much less effort, as last year's Ottawa 10k. Strange. What works for one runner may not work for another runner. I personally choose to run commute to and from work everyday (in addition to running at lunch and on the weekends). Each run commute is 5 miles and accounts for about 50 miles of running per week. I would HIGHLY recommend run commuting especially for busy people who have a full time career in addition to competing in running. Do what works for you, what fits your schedule and what allows you to train consistently. I think specificity of training is important. If you want to become a better runner, you need to RUN. Simple but some people forget this simple fact. If you want to do something really well, for the most part, it really helps if you can focus all of your time and energy on that one activity. This point was really driven home to me over the past month when I exclusively focused on running (mainly due to the AETE Step Challenge). If your race does not go well, the first thing you should be asking yourself is, “how was my training over the past weeks/months/years leading into this race?” I feel that people (including myself) have a tendency to point the finger at a whole bunch of minuscule things that affected their race but forget about the big picture. They over-analyze things like, I only slept 6 hours the night before, it was a little humid, the temperature was 5 degrees warmer than I’m used to, I wasn’t wearing my favourite racing singlet, etc. Paying attention to the details IS important but I believe that the fitter you get, the better your body will be able to deal with these little changes in the days leading up to the race. I learned this lesson back in 2015 at the CISM Military World Games in South Korea. Everything was perfect leading up to the race; the Koreans treated us incredibly well...but my race was not as fast as I would have liked. I spent many hours writing down all the little details until coming to the conclusion that my inconsistent training program leading into the race was the main reason I did not perform well. 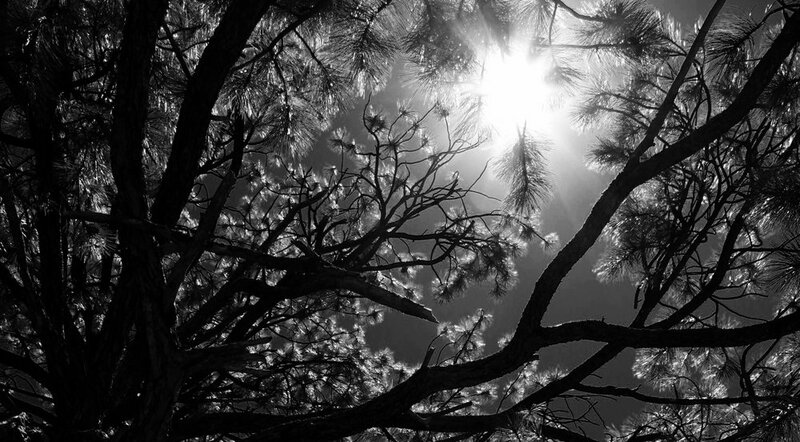 Don't lose the forest for the trees. I have studied and understand very well how running race courses are measured and certified. As a result, I have a great appreciation of an accurately measured and certified distance race course. If you want to improve your race times without putting in any extra effort, I highly recommend that you RUN THE TANGENTS (and review the Course Measurement Certification procedures). Not running the tangents is kind of like running a 10,000m track race in lane 2! By clicking "Manuals & Forms" and then "Download Booklet", you will get to the International Association of Athletics Federations (IAAF), the Measurement of Road Race Courses, Second Edition, 2004 Updated 2008. There is a lot of good info at the link above including a list of certified courses and even the Athletics Canada Road Race Measurement Certificate for the Ottawa 10k. If you are a member of the Canadian Armed Forces (regular force or reserve force) and you are interested in competing in CAF Running Nationals, then you will first need to run a qualifying race under the qualifying time. This qualifying race must typically take place no more than 14 months before race day. The qualifying race must be the same distance as the race you want to compete in at CAF Running Nationals (i.e. if you run a 10k qualifying race, then your time in that race will qualify you for the 10k at CAF Running Nationals). I believe it would be a good idea for the qualifying times to be reviewed and possibly revised so that they are determined using an age grade calculator. Age grading is a way of putting all runners on a level playing field, regardless of age or gender. As you can see, the current qualifying times are heavily biased towards older runners. For example, a 55 year old female needs to run the 5k in 40:00 (43.2% age grade) while a 19 year old male needs to run the 5k over twice as fast in 17:30 (74.7%). This potentially means that some younger faster runners may not be getting the opportunity to compete at CAF Nationals. I took each of the above qualifying times and created a graph to clearly show the decrease in age grade percent with increasing age. If interested, the numbers and graph can be found in my Excel spreadsheet. The data is from the 2017 CAF Run Nats. In the Dec/Jan timeframe, contact your local Base PSP and let them know that you would like to apply to compete at CAF Run Nats. The Base PSP will compile a list of all the qualifying times and choose the fastest 20 runners within each region in Canada. I believe there are 6 regions in Canada so about 120 athletes compete at CAF Run Nats. Once the regional athletes are chosen, you will be notified in the Feb/Mar timeframe. You will be on TD for CAF Run Nats and everything is paid for including your airline flights, accommodations, food and race entry. It is an extremely good opportunity and I highly recommend competing in CAF Run Nats. Please feel free to contact me directly via the "Contact" link above or on the DIN if you have any questions or would like more info. This article will describe my experience at the 57th World Military Cross-Country Running Championships in Balatonakarattya, Hungary from 02 to 08 November 2017. Hopefully, this article may provide motivation to serious CAF runners who are not currently part of the CISM running program to train/race hard and become a member of the team. Being a part of the CISM running program is an amazing opportunity and one that I would highly recommend. Several members of the Canadian Team, L to R: Natalia, Isabelle, CJ, Lori, Vincent, Craig, Matt, Denis and Mike. I left Cold Lake, Alberta, Canada at 6 am on Thurs 02 Nov and did not arrive in Balatonakarattya, Hungary until 7 pm on Fri 03 Nov. The first leg of the trip was the standard 4 hour bus ride (IBBS) from Cold Lake to Edmonton Airport then a 3.6 hour flight to Toronto (Airbus A320-100/200) followed by a 7.7 hour flight to Munich (Boeing 777-300ER) and a 1.3 hour flight to Budapest (Airbus A320). Upon arriving in Budapest, we were greeted by the Hungarian Delegation and took a 1.5 hour bus ride to Balatonakarattya, Hungary. Total travel time was around 30 hours. Hungary time (GMT + 1) was 7 hours ahead of Cold Lake, Alberta, Canada time. On the Toronto to Munich leg, I was lucky enough to be given seat 13C in the "premium economy" class. In this class, the seat configuration was 2 seats/aisle/3 seats/aisle/2 seats versus the "economy" class seat configuration of 3 seats/aisle/4 seats/aisle/3 seats. The additional room was nice and they also give us food on glass plates and bowls with metal utensils versus the plastic that the economy class gets. While travelling, I try not to touch my face at all and I wash my hands with soap and water often. There are a lot of germs in the airport/airplane and I don’t want to get sick. Food in Hungary – I pack my pre-race favourite foods (Vector bars, oatmeal, granola, bagels). Eating exotic/foreign foods that your body is not used to before a race that you have spent months/years training for is not advisable. Food During Travel – I like to bring my own food (celery, strawberries, carrots, bagels) while I travel. I always bring a water bottle to fill up once past security and drink loads of water. Time Change – Personally, I like to start going to bed a bit earlier and getting up a bit earlier about a week in advance before flying out. Maj Erin Smith told me that this seems to help with time change. When I get to Hungary, I plan to get on the local time asap, which usually means staying up the first day and not sleeping until it is night time there. Racing spikes/flats – I start wearing them during workouts well in advance of the CISM race. 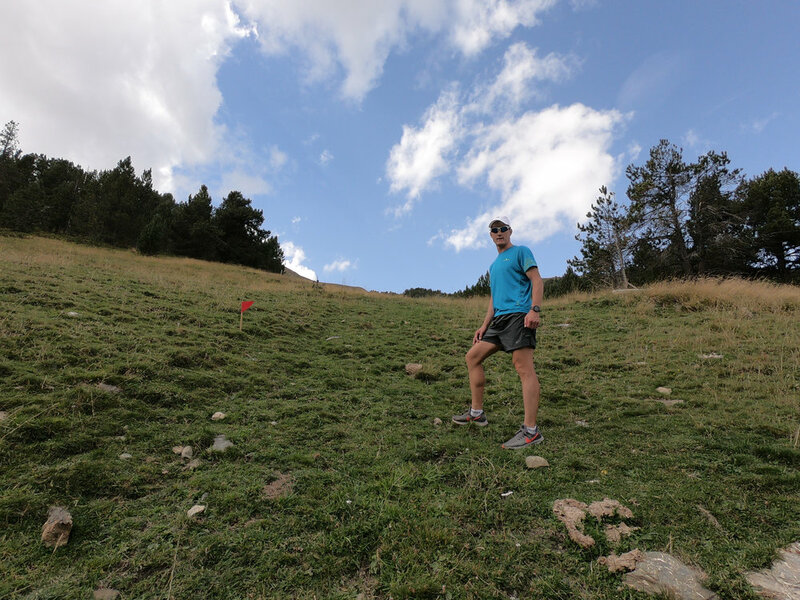 XC Terrain – I like to do a few training runs/workouts on the type of XC terrain that I can expect during the race (grass, dirt). Alcohol – I personally stay away from drinking the free alcohol (and coffee) while on the airplane ride to Hungary. Earplugs – BRING THEM! Maybe even bring a spare set. Some people like black-out eye covers as well. Mike, Denis, Craig and Matt. At 4 pm, we had the opening ceremonies where everyone dressed up in their military uniforms. The ceremony lasted about 45 minutes, which I found to be perfect. It seemed to take much longer to say something in Hungarian than English. There were approximately 300 people total among 25 different countries competing in this championship. Pre-race meeting and timing chip distribution. I believe that the place we stayed in Balatonakarattya, Hungary was a resort for Hungarian military personnel and their families.The location and quality of the accommodations (Hotel Aranyhid) where the Canadian team stayed was perfect. Our accommodations were literally about 100m from the start line of the race course. We walked about 300-400m to the dining hall. There were ample places to run around the race course area and there was a 2km loop around the perimeter of the resort. My bed. My room mate was Sam. A short walk to the dining hall. There were at least 10 people raking. I found the food to be decent. The three meal times per day were good but when I am home I personally prefer to eat continuously throughout the day rather than in three large chunks. For some reason, we were only given very small plates the size of dessert plates instead of larger dinner plates. Unfortunately, I didn't eat nearly as many fruits and vegetables as I normally eat and for some reason, I had very limited protein intake. There were a total of 19 members on the Canadian Team including Maj Michael Mueller (Team Manager), WO (ret'd) Denis Cloutier (Coach), Capt Nathalie Royer (Physio), MGen Alain Pelletier (CAF Running Patron) and 15 athletes as shown below. Long Course Male Team, L to R: Michael Bergeron, Matt, Chris, James and Alex. Note that Sam is missing from the photo. Short Course Female Team, L to R: Isabelle, Maria, Natalia, Lori and CJ. Short Course Male Team, L to R: Mark, Logan, Vincent and Craig. The race course was a looped course. Each loop was 2.3km long. They had a jumbotron (massive screen) setup next to the start/finish area. The course was extremely friendly for spectators as you could see your team mates at numerous locations during every loop. The Hungarian Delegation did a fantastic job of taking photos of all runners in the days and weeks leading up the race as well as during the race, during the opening and closing ceremonies and after the race. Photos and videos were posted on the Facebook page right after they were taken. Map of Race Course. Red line is one 2.3km lap. There was live streaming of each athlete position during the race. Unfortunately, since it was 3 am in Alberta when I was racing, I'm not sure how many people watched. There was an incredible energy surrounding the race. There was really good high energy music being played at all times during the race. The men's long course race started at 10 am, which I found to be the perfect time to start a race (well done, Hungarian Delegation). The short course men started 1.5 hours later at 11:30 am and the women started at 12:30 pm. Based on our seed times, I toed the line at the front of the Canadian Team next to James. I went out quite aggressively because the course was fairly narrow and windy. If you get stuck behind 100+ other runners, you have to expend a lot of energy unnecessarily. The first obstacle was a log jump (see photo below). I found it easier than expected and hurtled the logs each lap except one. Next came a water jump; it was about 2m long and 30-40cm deep. Because you couldn`t see the bottom (muddy), it was a bit of a surprise when your feet touched the bottom of the water. After the water came about 10-15m of sand (volleyball court sand) and a sandbag embankment covered in AstroTurf about 70-80cm tall. Then more sand, another water jump and a short section of pebble gravel before finishing the 2.3km lap. There were also 2-3 road crossings (the pavement was covered in thick rubber mats), where you had to run up and down about 70cm or so. Overall, I though the course was very fast despite the obstacles. Official results from the race can be found on www.evochip.hu.results. Canadian Long Course Male Team placed 14th out of 19 teams. 108 runners started the race and 105 finished. 1st overall male ran 35:11. Canadian Short Course Male Team placed 12th out of 16 teams. 66 runners started the race and 64 finished. 1st overall male ran 13:28. Canadian Short Course Female Team placed 9th out of 13 teams. 62 runners started the race and 64 finished. 1st overall female ran 15:28. Once the races were over, there was an awards/closing ceremony where everyone dressed up in their military uniforms. The Cultural Day was on Monday 06 November. We were bussed to a local town where we took a tour of a castle/fancy house and a walking tour of the downtown area. In the evening on Monday, there was a banquet with all the athletes. There was food, live music (two separate bands) and a CISM Bar with Hungarian beer. To travel back to Canada, I reversed the process of getting to Hungary but except going forward 7 hours, I went back 6 hours (Daylight Shifting Time in Canada occurred while I was away). While walking to my seat before the trans-Atlantic flight from Munich to Toronto, a gentleman pointed out that I was wearing a Ronhill jacket. This gentleman said that he competed against Ron Hill in the 1970 Boston Marathon and in that race, Ron Hill won the race while he placed 10th overall. This gentleman's name was Wayne Yetman and he competed as a marathon runner in the 1976 Olympics. His personal best time in the marathon is 2:16:32, which there are very few Canadian marathon runners today who can run that fast of a time. Wayne mentioned that Ron Hill created a new style of running shorts with slits up the sides, which made running much more comfortable. Although it may seem trivial, split shorts were a revolutionary technology at the time. Michael Bergeron (in background of photo) and I really enjoyed talking to Wayne. Upon returning to Edmonton, the captain of the airplane said over the intercom, "welcome to winter" and he was not kidding. For comparison purposes, I took a photo of a Hungarian field (green grass, top photo) and then a photo of a Canadian field (white snow, bottom photo) on the bus ride to Cold Lake. The very next day, it was back to work and back to the run commute. Once again, Cold Lake lived up to its name with an outside temperature of -19C (-25C with the windchill) on 09 November. For those interested, below is a really good video of Ron Hill's running streak that lasted 52 years and 39 days, the longest running streak in history. I would like to thank the Hungarian Delegation for putting on an extremely well organized, world-class event. I would like to thank the team leadership for all their hard work including the Team Manager, Maj Michael Mueller, the Team Coach, WO (ret'd) Denis Cloutier, the Team Physio, Capt Nathalie Royer and our CAF Running Patron, MGen Alain Pelletier. I would also like to thank my supporters including my family and friends, my chain of command at the Aerospace Engineering Test Establishment, the Canadian Armed Forces, city of Cold Lake, Running Room, Ronhill and Zizu Optics. I am incredibly grateful for all of your fantastic support. Thank you! This article will outline my experience at the Edmonton 21.1k road race on Sunday 20 Aug 2017. Everything went really well. I drove down to Edmonton on Friday evening and settled into the race hotel, Chateau Lacombe. 10 minutes after I arrived, Dylan Wykes arrived from Vancouver. The ironic thing is that it likely took Dylan less time to get to Edmonton from Vancouver (1.5 hour flight) than it took me to drive from Cold Lake to Edmonton (3 hour drive). haha I found it strange being roommates with a friend but also a fellow competitor, Dylan (a dichotomy?). In any case, the amazing thing about being an elite runner is that all you have to do is show up and everything is taken care of. It was so awesome! Thank you so much, Brian Torrance! On Sat 19 Aug morning, I went to the Running Room Friendship Run at the Shaw Conference Center. I always enjoy going to these runs as it gives me an opportunity to meet other runners in a completely inclusive environment and as an added bonus, they usually have free food after the run. In this case, they had free food AND free Starbucks coffee. I talked with Cam Cook at the run and also met Jonas Eastcott for the first time. After the Friendship Run, I made sure to pick up my race number and race shirt. I know all too well that if I leave these things to race morning, it is very possible to miss the start (ref: Edmonton 10k a few years ago). In the afternoon, I went to the grocery store and bought pre-race breakfast foods that I like (bagels with peanut butter, Clif bars, bananas, sparkling water, vanilla Greek yogurt, granola). Although the race hotel did provide breakfast, I did not want to risk it. The Edmonton 21.1k race start was at 8 am (the perfect time to start a race, I think) so I woke up at 5:30 am and ate breakfast. One hour before race start, I did a 25 minute warm-up (usually I do 35 mins) on a treadmill in the hotel fitness centre. I like doing this for a number of reasons: the bathroom is right there, the temperature is warm, I can wear my race outfit and ensure everything is good to go, I can get in a continuous warm-up (any speed) without having to worry about traffic, other runners, obstacles, etc., and there is a neutral energy in the air compared to the typically extremely nervous energy that you find at the start line. The unusual thing about Edmonton 21.1k was that in the days leading up to the race and right before the gun went off, I didn't feel nervous at all but instead felt completely mellow. Not sure if this is a good thing or not. I can always tell if I'm ready to have a great race because I can feel an energy deep within my soul; I feel like I'm ready to attack the race (be on the offensive rather than reacting to whatever comes). I really liked that the race organizers played our national anthem at the start of the Edmonton 21.1k. I am extremely proud to be Canadian and I am not at all afraid to show it. Whenever our national anthem comes on, I sing as loud as I can. The gun went off and the race started at a very relaxed pace. I was wondering when Daniel Kipkoech was going to pick up the pace and it wasn't until about 500m to 1 km in that the pace started to speed up. Within 1 km of the start, the front 5 runners had fragmented (group 1 was Daniel and an Ethiopian, group 2 was Kip Kangogo and Dylan Wykes and group 3 was Matt Setlack). I didn't want to go out too fast and blow up (perhaps there was some residual feelings from Long Course World Mountain Running Championships?) so took it pretty easy in the beginning. Around 2 km in, we started passing the 10k runners going the other way (they started 30 mins earlier than us around 7:30 am). At first, I started cheering for all my friends in the 10k race (Michael Stewart, Lisa Flemming, Shari Boyle, Alecia Kallos, Marie-Michele Siu, etc.) but after a while, because I was cheering so much, I started to lose my breath so I had to stop and switch to attempting to smile and giving a thumbs up. At the first 180 degree turn I could see Dylan up ahead. I think he had a 30 second lead of me and with around 12 km (?) left in the race, that meant I would only need to increase the pace by 3-4 seconds per km to catch him - completely doable. On the 2nd 180 degree turn, the gap between Dylan and I had narrowed and there was an even bigger gap between me and the guy(s) behind me. There were a lot of twists and turns running around a residential area for quite a while. Around 10k, I believe, Dylan stopped running because of an issue with his hamstrings so then it was just me. Up until this point in the race, I had seen Jody Bailey way up in the distance on his bicycle with a massively long lens taking photos of the racers. Thank you Jody for being there; it really made the race feel less like a personal time trial. I crossed the finish line in 1:10:55, which is by no means something to write home about (not a personal best) but I was really quite happy with this time considering that I ran completely by myself in "no-mans land" for 20.5km. I really enjoyed the race. For the first time ever, I just took it all in; I read the encouragement signs (there was one sign along the lines of, "You trained in sleet for this" and I was thinking, I'm from Cold Lake...I've trained in much worse conditions than sleet haha). As I was running down the middle of the road in downtown Edmonton, I was thinking about how lucky I was to be doing this and to have the incredible support that I have. All of the volunteers and police officers came out early (on a Sunday morning at that!) and stood for hours blocking off the streets (and gave water and cheered) so we could run. How cool is that? All I had to do was show up and do something I love to do! After the race was over, there was a brunch in the Shaw Conference Centre. This is one of the greatest post-race brunches I have ever seen and I was super impressed with it. I warmed down with a few of the Running Room athletes and ended up missing the awards ceremony but thankfully Marie-Michele Sir was there to pick up the award for me. Thanks, Marie-Michele! I am currently looking for another 21.1k race to do this autumn. Although I have never raced them, I have heard that Victoria 21.1k (08 Oct 2017) and Philadelphia 21.1k (18 Nov 2017) are both good races. After that, if selected, I will be competing in the CISM Military World Cross-Country Championships in Hungary from 03 to 07 Nov 2017. About one week before the event, I was given the opportunity to race the 14th Long Course World Mountain Running Championships in Premana, Italy on 06 Aug 2017. I am very thankful that Adrian Lambert gave me the opportunity to race as a member of the Canadian Team. This article will describe my experience during the race and demonstrate that not every race I do is "sunshine and rainbows". On Fri 04 Aug 2017, Adrian and I drove to the Milan Malpensa (MXP) airport, returned the rental car and met Mario and Nicola again at the airport welcome booth. We then met Marianne Hogan, Shelley Doucet and her sister Marcy at the airport. We all jumped on a Police bus, which drove us to Premana. That evening we had a team meeting where everyone introduced themselves, which was a very good idea. View outside our bedroom window. The team was composed of Adrian Lambert (Team Manager/Head of Delegation), Lisa Heidt, Shelley Doucet, Marianne Hogan, Greg Smith, Natalee Peeters and Matt Setlack. Lisa Heidt, Shelley Doucet, Marianne Hogan, Greg Smith, Natalee Peeters and Matt Setlack. On Sat 05 Aug 2017, we ran in the morning and then went to the Opening Ceremony in the afternoon. There was a short parade of athletes up the main street and then we sat down in some chairs. It was a good ceremony; short and sweet. There were flag dancers. Matt and Marianne waiting for the Opening Ceremony. Open Ceremony for Long Course. The long course race was 32km long and had 2,900m (9,512 feet) of ascent and 2,900m (9,512 feet) of descent. There were three mountains we needed to run up and then down again. The start line and finish line were pretty much in the same spot in downtown Premana. Elevation Profile of Long Course World Mountain Running Championships in Premana, Italy. I woke up at 5:30 am and had the provided breakfast (cereal, yogurt, banana, coffee). During the bus ride to the start line, I remember feeling extremely good mentally, physically and emotionally. Everything in life was going really well. A euphoric feeling as if I was on top of the world. Lisa Heidt, Marianne Hogan, Shelley Doucet, Matt Setlack, Natalee Peeters and Greg Smith. I did a short 20 minute warm-up down the narrow alleyways of Premana and then went through the call room and stood at the start for 10 minutes. They called each country up to the start line individually. I missed Canada so tried to blend in by running with the Suisse who were also wearing red singlets. I don't think anyone noticed (except maybe the live tv cameraman). The start went off fairly fast but it was slightly downhill so that was to be expected. I looked up and saw (and could hear) a helicopter with a film crew inside videotaping the race! How cool is that!? I have had motorcycles and Tesla electric cars as lead vehicles before but never a helicopter! I could hardly believe my eyes! The first 2-3 km were all downhill with a fair amount of bottlenecking. I remember being super pumped and kept thinking, why is everyone running so slow? I wanted to pass a whole bunch of guys but the trail was so narrow that it was nearly impossible. On the way up mountain 1 of 3, there was some shuffling and I passed a few runners. Everyone sort of settled into a pace after that and went into the grind. There was thunder, lightning and rain. A video of the race is shown below. Although it looks like the runners are going super slow, it is much more challenging than it looks especially with the elevation change. For the first several aid stations, I only drank a bit of water. I passed a few people who stopped to walk at the aid stations. I was thinking, that's strange, why are they going so slow through aid stations? In a 10k or a half marathon, I never eat or drink anything during the race (and in the unlikely chance that I do, I keep running the same pace through the aid stations). The descent from mountain 1 was pretty intense. The trail and all the rocks were wet and slippery. We were fairly stretched out by this point but I saw numerous runners fall town in front of me. I then fell flat on my back after slipping on a rock, which nearly knocked the wind out of me. I also managed to bang myself up in a few places (elbows, right shin, left hand, right buttock) and started bleeding in a few places. The blood from my right shin kept flowing but I was so pumped up with racing in this incredible race, that I didn't even notice. Although a few body parts like my left knee, bleeding right shin and left hand were a little sore, there was no significant damage that would prevent me from running. About 1/2 km later, I slipped on the wet grass and fell to the ground again, then rolled a couple of times and got up (hopefully not losing too much time). During the entire episode, I'm pretty sure I was constantly moving forward (even if I wasn't necessarily "running" forward). A few hundred meters later, there was a large group of spectators who clapped as we went by, I gave them a wave and they went wild. Like a noticeable increase in their volume, clapping and cheering. It was awesome! The first 14 of 32 km went really well. I felt amazing. According to my Strava account, I covered the first 14 km (1677m up, 601m down or about 75% of all the climbing on the course and about 25% of all the descent in the course) in about 1 hour 53 minutes. Almost at the col/top of mountain 2 (PC: Aaron). Only about 2 people in the entire race ran all the way up this hill. On the climb up to the col (the highest point of the race at the top of mountain 2), I was starting to feel a little weak but still alright. When I almost got to the top of mountain 2, that's when I really started to feel knackered. It was quite a steep climb once you left the road/horse cart trail and I found myself "aggressively hiking/power walking" more and more. I got to the top of the col and that's when things really started to go south...There was A LOT of rain, the trail was completely soaked as well as all the rocks. After climbing, it took a while for my legs to get used to the relatively steep and technical downhill going down mountain 2. 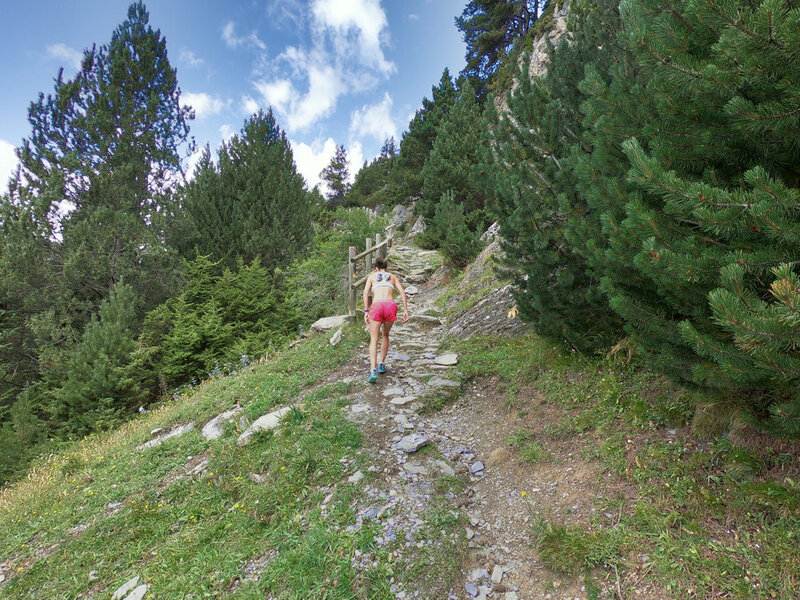 After a while on this descent, the first non-world mountain running runner passed me AND I even had a 5 minute head-start on him. I was unbelievable how fast some of the runners were descending. When I saw Adrian Lambert at around 20km (somewhere around 2 hours 30 minutes I think), I was feeling pretty wrecked. "What's going on? ", I thought to myself. I still had not eaten anything and drinking water, pink juice (Gatorade?) and Coca-Cola only gets you so far. After the race, many fellow runners mentioned that the aid stations had food to eat like chocolate but to be honest, I didn't even notice one aid station with food to eat. During this stage of the race, I felt like the life had been sucked out of my body like there was no energy left (low blood sugar?). At this point, I was in 43rd. Around 20km into the race (PC: Adrian Lambert). The climb and descent of mountain 3 was by far the worst. It started raining cats and dogs (literally, the most intense downpour I have ever seen in my life). I was completely soaked as if I had jumped into a swimming pool. This was by far the most mentally challenging part of the race. When I race, I am always competing against someone else or at the very least competing against myself or the clock. However, at this point in the race, I was not even sure if I was going to finish the race but I knew that if I dropped out, it would probably be a farther run back to the start than just running the proper race course. haha so I pushed on. I felt like a turtle (and probably looked like one too). The ascent and descent of mountain 3 seemed to go on forever. I was wishing that the race organizers had put up race distance signs (apparently they did, but I didn't even notice). At one point, I thought, I must be getting close to the finish now thinking I was only 2 km or so away but then I checked my GPS watch and saw that I had about 8 km to go! Eventually, the race turned into a race of survival and I told myself just to keep moving forward (don't stop and don't move backwards). Don't even worry about pace, just keep putting one foot in front of the other. I must have stubbed my toes on ever single rock and tree root on the course. The way I felt was very similar to the way I felt when Josh Kutryk and I skied from the Athabasca Glacier parking lot to Mount Columbia and then back to our high camp on the Columbia Icefield. It was a 20 hour epic day and by the time we got back to our tent at 1 am, I was so knackered after that ski that I could have fallen asleep with my ski boots still on. 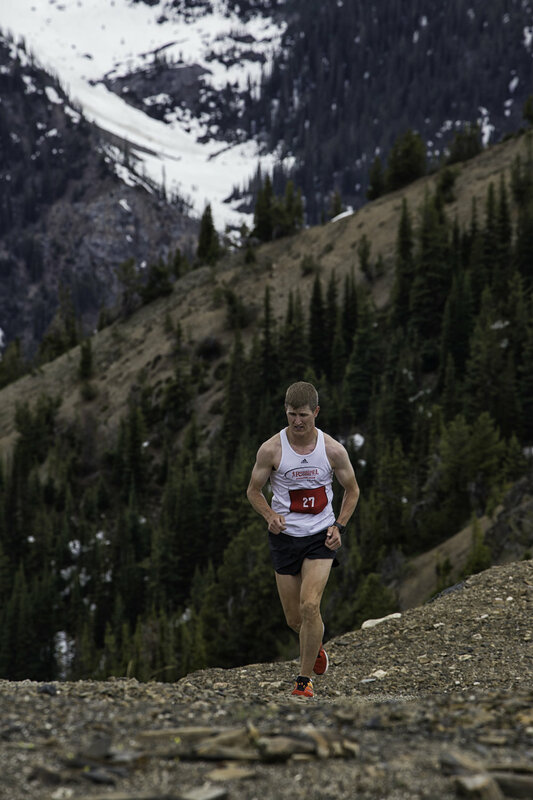 Matt Setlack finishing the Long Course World Mountain Running Championships (PC: Abigail Smith). After what seemed like forever, I did make it to the finish line in a time of approximately 4:09:36, placing 53rd overall (1st Canadian). I am relieved that I even made it to the finish line in one piece but am not at all happy with my time or placing. However, I did learn many valuable lessons. The post-race dinner was pretty decent and the post-race gathering/awards ceremony was a lot of fun. Post race meal provided by race organizers. Attitude is Everything - Going into World Mountain Running Championships and Long Course WMRC, I was very careful about what I thought about. I knew that I was coming from Cold Lake, Alberta - literally one of the flattest areas on Planet Earth (the nearest mountains are 800km away). Thoughts lead to words and words lead to actions. I did not want to go into the race with a defeatist attitude (making excuses before the race even started) and having already made up my mind of how the race was going to go. The majority of the Canadian Team (and other world mountain runners) are from the mountains. Instead of focusing on what I did not have, I focused on what I did have, namely that my training and racing over the year leading up to the race was very consistent and my results proved that my aerobic fitness was fairly high. Also, living and training in Cold Lake in northern Alberta all year around, I believe provides a perfect environment to build mental strength and stamina. Running 6,000m (almost 20,000 feet) of vertical in the week immediately before a race is probably not a good idea. That amount of ascent is the same amount as I would typically do in 3 months in Cold Lake. However, I really needed to take advantage of my surroundings being in the Dolomites and would not trade the mountain runs I did in Italy for anything. I had the time of my life! Not eating anything for 4 hours while running a 32km race with 2,900m of elevation ascent/descent is a bad idea. I went into the long course race thinking that it would be a half marathon (21.1km) with a 10km race tacked onto the end. However, it felt more like a marathon with a 10km tacked onto the end (and my time was even slower than these two races put together) or ultramarathon. When I'm racing 10km and half marathon, I never eat or drink anything. When I am doing my Sunday long run (33km at 4:20/km average pace), I do not eat or drink anything even when the temperature is +30C. This race was much different than any other race I have done before and I should have followed more of a "slow and steady" pace than a "balls to the walls" pace. I should have gone out of my way to try and find energy gels somewhere in Italy or borrowed energy gels from teammates (if they might have been available) or at the very least, borrowed a couple of Shelley's protein bars. The Power of Positive Thinking - Without sounding too philosophical, I really believe that if you smile at the world, the world will smile back at you. If possible, I always try to see the good/positive things in people and my environment. I really do believe that you can always find something positive out of every situation. I have found that positivity/optimism (while still being realistic) has a snowball effect, the more positive things that happen to you seem to bring more positive things (but the opposite is also true). On every run I go on, I try to love and appreciate every step, and to always see at least one positive thing. For example, the temperature is perfect for running, the sun is shining, I have a beautiful Millennium Path to run on, people are super courteous to me while driving by, I am surrounded by amazing people, I am healthy/not injured, etc. There is always at least one thing to be thankful for so try to focus on that, if you can. It will make you feel better about your current situation and about the environment around you. I would like to thank Adrian Lambert for allowing me to race the Long Course World Mountain Running Championships, Tony Lambert for providing us with team uniforms and all of the people who have supported me along the way including my wife, Emily, parents, Wayne and Patti Setlack, family, friends and supporters (Canadian Armed Forces, PSP, Aerospace Engineering Test Establishment, City of Cold Lake, Running Room, Ronhill, and Zizu Optics). The 2017 BMO Vancouver Half Marathon experience from 05 to 08 May 2017 was like no other experience I have ever had before. I have had the incredible opportunity to compete in races across North America and around the world but none of them have come close to the elite hospitality experience I had at BMO Half. Do you ever have those days when everything clicks and slides effortlessly into place? The experience I had at BMO Half was just like that from the time I left to the time I returned. There were no hang ups and rarely any waits; I parked at the airport, walked towards the shuttle bus stop and just as I turned the corner, the bus pulled up. I could not have planned that if I tried. I left Edmonton in the early morning and flew non-stop to Vancouver. Emily and I met in the race hotel (Coast Coal Harbour Hotel; probably the nicest hotel I have ever stayed in) and walked to the Race Expo at the convention center (only a couple blocks away) to pick up our race numbers. We met a lot of great people from Saucony there and I also had the chance to connect with John Stanton, the founder of Running Room. He invited us to the Free Running Room 3k Friendship Run that was scheduled for the next morning. In the afternoon, Matt and Sarah Clout picked us up and I had the opportunity to see a horse dressage competition. Sarah was competing in it that weekend and she ended up taking home the First Level Amateur Division Championship. I had no idea that there was so much to dressage as there is. It was really interesting to watch and have Matt and Sarah there to explain the rules to me. Around dinner time, food was prepared for the elite athletes in the hospitality suite (chicken, rice, vegetables, fruit, fruit to go bars, water, carbonated and flavoured water, etc). Lynn Kunuka was the Elite Coordinator and she did a phenomenal job. Just outstanding! Arlene and Cheryl were in the hospitality suite kitchen getting all the food ready for the athletes. I was extremely impressed with the food that they provided for us; it was exactly the type of food that we eat at home.That night, I watched Nike's Breaking2 commercial, which was very impressive. Eliud Kipchoge ran a 2:00:25 marathon time trial on a formula 1 race track near Milan, Italy. The whole BMO Half experience felt like a family reunion. Many of the elite athletes and volunteers hung out in the hospitality suite and we got to know each other. Emily and I decided to go to the Free 3k Running Room Friendship Run at the Vancouver Denman Running Room. This was the first time I had been to a Friendship Run and was expecting just an easy 15 minute jog and done but when I got there, there were tents set up, there was a start/finish line arch, free refreshments available and photographers/videographers walking around. I felt a little like I was on the set of a movie that was being filmed. John Stanton gave a speech, the Running Room pace bunnies were introduced and many of the elite athletes were introduced. A cheque was presented to the Thunderbirds Track Club by John Stanton. The 3k run went off without a hitch and then it was time for the BMO 2.5k Kids Run. The BMO 2.5k Kids Run was definitely one of the highlights of the entire BMO Half Marathon Experience. Jim, Mary, Daniel, Jane, Emily and I drove over to the run. Lynn, Kip, Mike were already there. As soon as we arrived, they called us up on stage and introduced us. 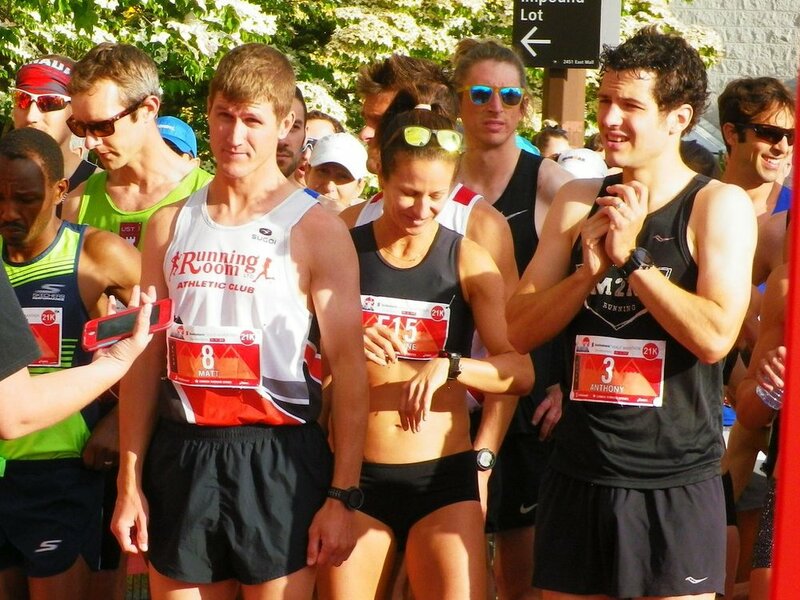 I was thinking, "I think the race organizers have maybe mistaken me for an elite runner/Olympian or something". haha The national anthem was sung before the race (I really like it when race organizers do this) and then we got to cheer the kids on. Lynn gave everyone blue BMO Saucony t-shirts that read "ELITE" on the front and back and then we were then given BMO Kids Run medals to present to the kids as they crossed the finish line. It was so awesome! I felt like a million bucks! After that was done, we went over to the podium and got photos taken with any kids who wanted their photo taken. There was a huge lineup of kids. Then the kids started asking for our autographs! haha I was thinking, "I think you have the wrong guy (reference myself)". This event was so much fun and I had such a great time that my face actually started getting sore from smiling so much. I didn't know that was even possible. After the entire event was over on Sunday, we took the elevator with a family comprised of a father, two young girls with BMO 2.5k Kids Run medals around their necks and a mother with a BMO Full Marathon medal around her neck. We were wearing street clothes (unusual, since we usually wear running clothes) and the dad recognized us and said to us, "You guys are the elite athletes who went up on stage yesterday". It made me very happy to see an entire family partaking in the event. They looked very proud of themselves for finishing their races. 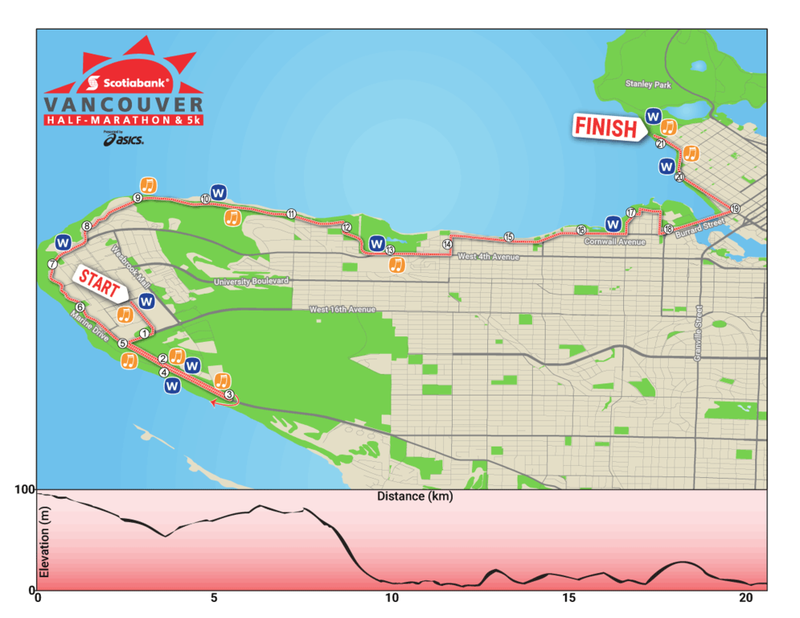 A course tour of the BMO Half was scheduled for 12:30 pm on Saturday. I thought there would be a bus or a 15 passenger van. Because of Vancouver traffic, we ended up getting back to the hotel a little later than expected. When we got to the elite suite, we realized that the tour wasn't an entire bus/van, but was instead just a group of elite athletes that would be driven over the course by one of the volunteers. Ferg Hawke volunteered to take anyone for a course tour. Emily and I asked to go but nobody else showed up. Jonathan also volunteered to navigate the course tour. We left the hotel, walked to the vehicle, got inside and realized it had a leather interior and was freshly cleaned (and I mean immaculate). We asked the other volunteers at the finish line arch if we could drive through since the other end of the street was blocked off and they said, "sure". So here we are driving/slaloming around these blue baricades trying to look like we belong there. It was pretty funny. Ferg drove over the entire 21.1k course for us in his own vehicle during Vancouver rush hour traffic while Jonathon navigated and called out the km splits as we passed them. Emily and I were thinking, we are so lucky; I can't believe we're actually getting a personal course tour. This is incredible! This tour ended up helping A LOT during the race since we knew exactly when and where the next turns were coming up. This was my first time doing this race. Thank you so much, Ferg and Jonathon for the amazing course tour! We really appreciate you guys going out of your way to do that for us! We returned to the hotel and it was time for the technical meeting at 4:30 pm. Lynn gave us a complete run-down of the course and what the sequence of events would be and then the course director, Eric Chene actually came in and went through the half marathon and full marathon courses with us on the course map. After that, we had a pasta dinner together. There was more than enough food to go around. During dinner, I met an interesting gentleman and as he was talking, I was thinking, "this guy has the perfect voice to be a narrator for a film or an announcer or something". Turns out the gentleman I met was, Steve King and he was the announcer for the BMO Half and Full. He is the elite of race announcers! We woke up at 4:30 am (who schedules a race start for 7 am? haha) and went to the elite suite where Arlene and Cheryl had food all set out ready to go. The bus left at 5:30 am to take us to the start line. They had a gym open for us to warm up in with bathrooms to use. This was absolutely perfect. There was even a special passageway blocked off for the elites to get to the front of the race start line. How cool is that! I saw John Stanton up on the stage; he gave me a thumbs up and I waved. While we were warming up inside, the national anthem was played (love it when they do this). The weather was perfect with the temperature around 6-8C and the wind 11kph from the ENE. There was a Tesla electric car at the start line and I believe it was used as the lead car. The gun went off and the pace was really slow. I was thinking, "this is like ultra-marathon pace" and we were running a half-marathon. No offence to ultra-runners out there :) I was waiting for the Kenyans to blow past me but they stayed behind me for like 500m. On the way down Cambie Street, the first 3 km or so are straight downhill (with a small uphill bump to cross over Cambie Bridge). I wanted to take advantage of gravity on the downhill so I tried to maintain the proper effort and not worry about pace. Knowing the course enabled me to take the tangents (run the shortest distance on the inside of the turns). As I was crossing over Cambie Bridge, I saw the lead pack ahead of me way over on the left hand side of the road while I was on the right hand side of the road because I knew that a right hand turn was coming up. I have studied the USATF Course Measurement and Certification Procedures Manual and have a pretty good understanding of exactly how race courses are measured. From Cambie Bridge at about 3k to about 6k, I ran by myself and then caught up to Kenyan runner, Benard. As I was passing him, he picked up his pace and we ran side by side. Then Ireland's Andrew joined in on the fun and the three of us ran together for pretty much the rest of the race. We didn't say a word to each other (besides me saying, "tangents! take the tangents!") the entire race. In retrospect, I'm not sure if Benard knew what that meant...because we rubbed elbows several times. There seemed to be an unspoken agreement that we were going to push each other to the finish line, two guys would run in front, one behind and then we would switch. I felt like Benard and Andrew surged on the uphills and then slowed down on the downhills and flats because I would fall off the back by 10-20m and then make the ground back up on the downhills/flats. Thank you to everyone who cheered for me during the race. It really did make a big difference. With about 1.5k to go, Benard and Andrew really picked up the pace and I fell back at least 20-30m but I kept running pretty hard slowly closing the gap until we were on the final 500m stretch up Pender Street (very slight uphill). I was thinking, "there is no way that I'm going to run with these guys for 15k and then getting dropped in the end so I ran as fast as I could (grunting and spitting all the while...there may have even been froth coming from my mouth like a rabid dog). In the final 50 to 100m, I could see that Andrew (from Ireland) was in the middle of the street, Benard was just to the left of him and I was to the left of Benard. I think I had a bit of an advantage coming from behind because they could not see me. With 10m to go, I got a little jolt of energy (from where, I'm not sure) and Benard and I were literally neck and neck (photo finish style). It was very tight at the finish line and we rubbed elbows a bit as we raced to the finish line. In the end, Andrew came through in 5th in a time of 1:09:23 and I came in 6th in a time of 1:09:24. I was happy to have set a new personal best in the half marathon by 2 minutes 4 seconds. I believe I was the 2nd or 3rd Canadian overall. Emily also set a new 2 minute PB running 1:13:28 (2nd woman overall, 2nd Canadian). It was fantastic to see Emily finish the race a few short minutes after I finished my race. We also saw each other at the two 180 degree turnaround points on the race course. As we passed each other, we bellowed out words of encouragement to one another. Emily said that this really lifted her spirits. After Emily crossed the finish line, I asked her how she did, she said, "I ran a 2 minute PB". She then asked me the same and I said, "I ran a 2 minute PB as well". This is the second race in two weeks that we have both set new PBs in races together. After we finished, our bags with warm-up gear were waiting for us at the finish line. Thank you, Ferg for bringing all of our bags to the finish line. It was just perfect how they were right there waiting for us. This was a point to point course. Medals were given out and post-race interviews were done. The entrance to the race hotel was literally 10m from the finish line (Pender Street entrance) so we could be in our hotel room within 5 minutes. Emily and I did our warm-down going backwards over the marathon course so we could watch Mike Trites and Marty Robertson finish their races. Mike ended up placing 1st Canadian. Mary gave us hospitality lanyards/passes and we could go into the hospitality/VIP section right at the finish line. There were food tables set up, cappuccino machines, sandwiches, washrooms, unlimited beer and wine available. You could eat and drink as much as you wanted while cheering for fellow runners as they crossed the finish line and talking with friends. Everything was complimentary! The sun was shining. It was absolutely incredible! That night, Emily and I decided to splurge and go out for dinner (when we are on our own we usually end up eating peanut butter sandwiches on a park bench somewhere or having a picnic down by the water). We went to Cardero's, which Matt and Sarah Clout introduced us to. We love this place! We received an email and a note from Lynn asking if we would like to go for a post-race shuffle at 9 am the next morning. We went out for a 30 minute easy shuffle with Lynn, Allison, Mo and Andrew. The rest of the day was spent taking it really easy and then walking along the water. We are always extremely cognizant of how lucky we are to come to beautiful places like Vancouver where the grass is green, there are flowers everywhere, birds are chirping and the sun is shining. We ran into Mike Trites and talked with him for a while. Our return to northern Alberta was uneventful. I owe the following people a debt of gratitude for all the volunteer work they did in organizing the event and spending their time to ensure the athletes were taken care of extremely well. Lynn Kanuka - She was the Elite Coordinator the BMO Vancouver Half and Full Marathon. She is full of life and an Olympic athlete herself who still holds the Canadian 1,500m record (click here). She does an incredible job of treating the athletes remarkably well. Lynn always has a smile on her face. Jim and Mary Hinze - I had the priviledge to meet Jim and Mary for the first time at the Vancouver Sun Run this year. Jim and Mary are two of the kindest people I have ever met. There is a positive energy surrounding them. I had just met them but by the way they talk to you, it's almost as if you have known them for years. They are very respectful people. They are both extremely considerate and I feel like they would give you the shirt off their back to keep you warm. Jim and Mary Hinze - Two of the kindest people I have ever met. Graham White - Executive Director of Vancouver International Marathon Society. Thank you for putting on a phenomenal race. Arlene and Cheryl - These wonderful ladies volunteered their time to prepare the food in the elite hospitality suite and ensure everyone had anything they needed. They were so kind and caring and really made Emily and I feel at home with their pleasant and caring way. They got up before 4:30 am on race morning to open up the elite suite so athletes could have breakfast before their race. Ferg Hawke - Ferg is a machine. He has competed in the Badwater Ultra-marathon and competed with Tony O'Keeffe at Ultraman World Championships in Hawaii. His son, Carter finished the marathon in 3:04:58. Thank you, Ferg for taking us on a course tour. Jonathan - Thank you, Jonathan for navigating the course tour for us. We would have been lost without your help. It was a pleasure to hang out with you after the race. Running Room and Ronhill - Thank you very much for your amazing support. I am able to do what I love because of you. All Organizers and Volunteers - Thank you for helping to put on an amazing event. Races like this could not happen without the hard work and dedication of hundreds of volunteers. Thank you! My next race is the Canadian Road 10km National Championships in Ottawa on 27 May 2017. BMO Half - Beautiful Fast Course, Outstanding Elite Hospitality, Friendly Volunteers! This article is the third and final article of a three part series regarding my experience with the run commute. The goal of this particular article is to outline some of the common challenges I face with run commuting and provide suggestions of how to overcome them. I have been run commuting to and from work practically every weekday for the past three years. I run all year around in temperatures as cold as -45C with the windchill in the winter and as warm as +35C in the summer. From mid-October to mid-February I run to and from work in the pitch dark. My run commute is approximately 10 miles round trip. These are the biggest run commute challenges that I have had to overcome in the process of getting into a good run commuting routine. Once you overcome these challenges, your run commute will be much more enjoyable. How Much Time is the Run Commute Going to Take? - This is the very first thing I wondered so I used Google Maps to map out my route. The first few times I run commuted, I didn’t know how long it would take so I started at work and ran home at the end of the day so I wouldn’t be late for work. What to Wear? – It's fairly straightforward to dress for one temperature but the main challenge comes with regulating your temperature (thermoregulation) in conditions that are continually changing. I would estimate there is generally a 5C temperature swing during my typical one way run commute. I would err on the side of caution and bring an extra layer or two. If you start to feel too warm, even in the slightest, first take off your tuque and gloves or mitts and if that doesn’t help enough then take off one top layer. Remember that in the winter it is common for wind chill factor to easily drop the temperature 10C, just by turning into a stiff headwind. Bring a small light backpack that you can put your extra clothes in. What to do with Work Clothes? – Leave them at work and only take them home when they need to be washed. Having a Locker and Showers at Work - I am extremely lucky that the building I work in has locker rooms with showers as well as a fantastic gym. This makes a tremendous difference. If I didn’t have this setup, I would probably have to run to the 4 Wing Cold Lake JJ Parr gym first, change, shower and then walk 10 minutes to work. That would be a lot more hassle. Without showers at work, I suppose one could use wet-wipes or a camp shower on a balcony instead (like Calum Neff). Working Regular/Consistent Hours - This makes getting into a routine much easier. It’s not impossible otherwise but it certainly helps. Mental Attitude - For some people, one hurtle to get over is the mental change that comes with doing something different. Sometimes it can be challenging to determine why you are run commuting to work when literally hundreds (or thousands?) of other people are drive commuting to work (in the same direction, at the same time, at the same speed, to the same location). Please don't fall into the trap of doing something just because everyone else is doing it and that's the way it has always been done. Why Am I Doing This? - What motivates you to run commute? Perhaps you’re training for an upcoming race or you want to lose a bit of weight? Finding your WHY will help to get you out the door when it’s pitch black and -35C outside. Goals - This is extremely important. Once you determine your why, make a list of the goals that you would like to accomplish. Write out these goals on a piece of paper and stick that piece of paper on the front door of your refrigerator or on your bathroom mirror. Include on this paper a list of your goals in addition to how you plan to achieve your goals. Maybe you want to run every day for the next 52 years? Having goals will give you a target to shoot for; otherwise you may end up drifting in an ocean of uncertainty with no direction not knowing where you are going. Priority - How important is running and fitness in general in your life? Do you run consistently right now? Perhaps the run commute would force you to train more and get into shape or maintain your current level of fitness. Emily and I place a very high priority on running/fitness in our lives. While we are on vacation, for example, the first thing in the morning that we always think about is, “When and where are we going to run today?”. It is so engrained in our minds that everything else while on vacation takes a back seat. Our eating schedule revolves around running, the location of the accommodations we stay in a city/town is determined by if there is anywhere to run nearby (parks, nature trails, etc). I can’t tell you how many times we have changed into our running clothes while in the car. Running to us is like eating in that it is just something that we have to do to survive. Human beings were born to move, not to sit still. An important point to remember is that to us, the things that we do are not sacrifices but instead, they are choices. The choices that we make help us to become healthier, fitter and ultimately lead a happier and more fulfilling life. Are the choices that you are making every day affecting you in a positive or negative way? Running Route - I am very lucky to have a beautiful Millennium Path to run on that is separate from the road. It is a paved path about 2 meters wide. The path is cleared of snow usually within hours of the snowfall. The City of Cold Lake and 4 Wing Snow and Ice Clearing Team do a PHENOMENAL job clearing the snow. I am extremely appreciative for all the excellent work that these snow removal teams do and it makes a night and day difference to the run commute. Next time I see one of these members clearing the snow, I will buy them a coffee. If I didn't have a beautiful path to run on, it would be much more challenging to run commute. Running Distance to Work - When I lived about 2km from work, I walked to work in my work clothes. When I moved to a new location about 5 miles from work, I first started riding my bicycle in the summer and then when the snow started to fly, I switched over to running instead. If you live too close to work, then I recommend walking to work. If you live far from work, then that doesn’t work either (unless you’re an ultramarathon runner lol). I would think it would be quite challenging for someone to try and run commute to work from Cold Lake North (about 14km each way) because they would be spending over an hour running each way and that’s quite challenging to maintain (but riding a bicycle would be very possible). The distance to work is one of the reasons Emily and I chose to live about 5 miles from work – not too close and not too far. An ounce of prevention is worth a pound of cure! I hope that you have found this article on run commute challenges helpful. Please let me know if you have any questions or comments and I would be happy to answer them. This article is the second in a three part series regarding my experience with the run commute. The goal of this article is to provide guidance on how to start run commuting and to provide a few tips on how to keep up the momentum with run commuting. The bottom line is that if you want to run commute, just go for it. There is no magic formula or secret method to achieve success with the run commute BUT the tips and advice that I am about to offer in this article will likely make your journey a little smoother. I always wake up at the very same time every morning. From the time I get up to the time I’m heading out the door, it is 35 minutes max. Sometimes I even set a second watch alarm 5 minutes before departure to ensure I will be on time. If it’s really cold outside, I like to have a warm cup of cocoa in the morning and put on a massive red North Face Himalayan parka (the ones people wear up Denali and Everest) and down slippers/booties around the house as I get ready – these things help warm up the core. Emily and I are quite "energy conscientious" and like to keep the temperature overnight cool. My run commute typically take 35-40 minutes each way. If I’m running through a foot of snow and snow drifts up to my knees, then it takes about 50-55 minutes each way. However, the city of Cold Lake and the 4 Wing Cold Lake Snow and Ice Clearing Team are phenomenal at clearing the Millennium Path quickly and efficiently. It’s the perfect setup; I couldn’t ask for anything better. Routine is incredibly important for me. Getting into a routine makes run commuting A LOT easier. It is much more challenging to run commute (or even train consistently) when your schedule is all over the place (i.e. during vacations, courses, etc). Breaking the Old Routine and Setting a New Routine – This is one of the first obstacles that you will have to overcome if you would like to run commute. Getting into run commuting can be challenging at first but once you get used to the new routine, it will feel natural to you and you won’t even think about it anymore. Friends often ask me if I ever think about not run commuting and the answer is: when I first started I considered it but now that I have run commuted so much, I don’t even think about it; it’s just what I do now. There’s not even a moment of indecisiveness. Waking Up a Bit Earlier – To deal with this, I started going to bed at a fixed time every night like 10:00 or 10:30 pm so I wouldn’t be tired in the morning. Every morning (even weekends), my alarm goes off at the same time. I have done it so many times now that I tend to wake up at the same time every morning even without an alarm. Going to Bed Late – If you stay up until 2 am and expect to wake up at 6 am to start the run commute, chances are you will be too tired to run commute and will fall back to your old ways of driving a vehicle to work. Be Prepared – This is a big one. Physically lay out you running clothes next to your bed the night before so you will see them first thing in the morning. Jump out of bed and straight into your running clothes. Some people prepare their lunch the night before but I like to prepare it in the morning so that the vegetables are freshly sliced. If you want to be successful with the run commute, I personally find that it’s much easier to just do it every day rather than starting then stopping then starting again. Remember Newton’s First Law, an object at rest tends to stay at rest and vice versa. I would strongly recommend that you start with bicycle commuting in the summer. It is faster, easier, and you can even wear your work clothes if you like as you probably won't break a sweat. Once you get comfortable bicycle commuting, then you could gradually transition into run commuting. If you decide to jump right into run commuting, then consider asking a friend/co-worker to drive you to work Monday morning with all your heavy work clothes in a bag and you wearing your running clothes. You can then run home Monday afternoon and to/from work every day. At the end of the week, ask your friend to pick you up on Friday afternoon. Consider alternating run commuting days with drive commuting days. That way you only need to run commute two or three times per week. Thermoregulation - This is a big one. The weather in Cold Lake is constantly changing. It is not unusual for the temperature to be -10C in the morning and +10C in the afternoon. To deal with this, I check the Environment Canada website every morning (and evening) before I start running and dress accordingly. I always use the same website so it is consistent as different weather websites show different temperatures. Generally, I account for headwinds and tailwinds (wind chill factor can make a big difference in the winter). Good Quality Running Clothing – If you buy quality running clothing once, you will have it for years; it is also good for the environment. Ronhill and Running Room make fantastic running clothes for running all year around. Stay away from cotton! A few years ago, I did a complete cleaning of the house and I put all of my cotton clothing in a box and donated it to the Bee Hive Thrift Shop and Orbiting Trends second hand store. I NEVER wear cotton socks (that is asking for blisters) or any type of cotton clothing. Carry as Little as Possible - I pack my Ronhill Commuter Xero 10L + 5L Vest running backpack in the morning and ensure it is as light as possible. The only thing I bring in it is my lunch for that day and a spare change of underwear and socks, identification, and an extra tuque and mitts. Depending on what the weather is like, I will bring a spare t-shirt or long sleeve shirt in case the weather warms up/cools off. Leave Work Clothes at Work – This is another big one. Only bring your work clothes (not your footwear) home when the clothes need to be washed. You can even bring a few sets of work clothes to work at the start of the week. Lugging your work clothes and heavy steel toed work boots (aka: leg weights) to and from work every day will make you very discouraged very quickly. You are unnecessarily burdening yourself by carrying extra weight. Don’t punish yourself by doing this. Be as lightweight as possible. Light is Right! Dry Your Running Clothes at Work – This is not essential because you could always bring a spare change of running clothes in your bag but it is really nice to have as you don’t have to carry unnecessary weight. I hope you have found these guidelines for run commuting helpful. Run commuting is a very enjoyable activity. The hardest part is getting started and getting into a good routine. Once you have done that, then it becomes easier and easier every day. Please let me know if you have any questions or comments. I ran on the treadmill today; I felt so effortless and strong--my feet moved beneath me and my mind wandered. As I looked in the mirror, my mind fluttered back to "the old me", I felt a rush of empowerment as I thought back to the struggles I have overcome upon arriving in Cold Lake, Alberta three years ago. For those unfamiliar with Cold Lake, it is a small rural town situated 300 kilometres northeast of Edmonton. It's in the middle of nowhere and it's cold most of the year. I am a military spouse; it's tough. Often times I feel like my career and life take a backseat while I follow my husband across the country. I struggle to land on my feet when we move to a new town and am slow to adapt. I am not good at change and don't do well when I am away from my family. When we first moved here, I was sad. I remember walking home from the gym bundled in my warm jacket; tears streamed down my cheeks. It was going to be impossible to live here; the closest city is 3.5 hours away. I didn't connect with the small rural town and I missed Kingston. I missed my sisters, parents, nephews, niece and training group. How on earth would I train here? How can I spend the next four years here? It's cold for most of the year and isolating. I felt like I was living on the moon and I not only didn't like it--I despised it. Then my husband, Matt and I met the Maleys; Joel, Claudia, Clara, Ruth and James. They opened their arms and took us under their wing when we first arrived in Cold Lake. Joel Maley not only competes in IronMan races, he is one of the best. Joel inspired me; he did all of his training on a rickety old treadmill in a cramped basement. He explained that Cold Lake was his secret weapon, it made him stronger mentally and gave him an advantage in races. No distractions, no restaurants (unless you count A&W, Boston Pizza and Dairy Queen)to go to, no theatres, no starbucks-- but lots of time to train. I remember leaving their home feeling a new sense of motivation, what he said that day stuck with me and I often think back to "living in Cold Lake is a secret weapon". If Joel can do it-- If he can train for an ironman in Cold Lake, so can I. The Maleys adopted me into their family like a temporary Auntie to their kids. They are one the nicest families I have ever met and I am so grateful for their kindness. They have since been posted out of Cold Lake but the cool thing about the military is that you always see people again...goodbye is never really goodbye! From that point on I put my head down and worked hard. I enjoyed the process of getting out the door everyday and I slowly stopped using where I lived as an obstacle. I learned that living here is only obstacle if I can't find my way around it. Somedays I felt like I was in a vortex patiently weaving my way around road blocks. It can feel impossible but I am persistent and determined to use my obstacle to make me stronger. Running on the roads here is not enjoyable, it's borderline dangerous as big oil trucks practically run you off the road. I learned to love trails; something the "old me" would have steered clear from as I thought it was too slow and I was wasting an effort running slow on the trail. I've learned to love the process of letting my mind wander on the skidoo and ATV trails, connecting with nature. The trails are beautiful in Cold Lake, there are hundreds of kilometres of ATV trails that weave around the town. It's empowering to run on the trail alone, to watch and feel the sun break through the leaves as my feet sink into mud and sand hearing nothing but the sound my body makes as it shifts and turns it's way through the meandering trail. Until an F18 roars above me, those jets are LOUD! I felt a rush of emotion at the start line of each and every race last year, I did it. I made it to the start line, I made my way around obstacles and turned them into my secret weapon. My heart swelled and I felt proud to be on the start line. The new me feels like a pit bull at the start line of races. I have worked too hard to back down at any point in a race, I am here to fight for every fraction of a second and I am not willing to back to down to anyone; but most importantly myself. I deserve to be my best, and give it everything I've got.. l found a way around the obstacle and have run some of the best times over 10km to half-marathon in my entire life. Upon arriving in Cold Lake, I never imagined it would be possible. That's why I smile at the end of every race. I am grateful for the community of runners that support one another. I am grateful for the volunteers, race organizers and coaches who make the sport possible (especially my coach- Matt Clout who volunteers his time, energy and knowledge to help me). Above all, I am thankful I can run, the finish line marks the feeling of everything summed up in a fraction of second; two hour runs in -20C, lonely km repeats on the track, 30km on a treadmill ... the list could go on forever. We all have obstacles, they are different for everyone. Find a way around them and you will be stronger than you ever imagined. Believe in yourself and be persistent. This article is the first in a three part series regarding my experience with the run commute. The goal of these three short articles will be to shed light on why anyone would want to partake in this activity and possibly encourage anyone who might be on the fence with respect to run commuting to take the plunge and go for it. Part 1 - WHY do I Run Commute? If only I had a penny for every time someone told me, “You’re Crazy” when they see me run commuting in the winter, I would probably be a millionaire :) The fact of the matter is, I’m not crazy, it's a matter of perspective. If you picked me up and placed me in Canmore or Squamish (the Outdoor Recreation Capital of Canada), run commuting and exercising in general would not be out of place at all. 1. More Efficient Use of Time – As a serious runner, I run every day. A few years ago, I drove a vehicle to work and then ran inside on the treadmill for 60+ minutes every day for hundreds of days on end. I would spend approximately 30 minutes total driving to/from work, which means I spent about 90 minutes total driving and running. With the run commute, I spend approximately 70 minutes running, which gives me 20 minutes PER DAY to do other things. Time, to me, is one of the most valuable commodities. We are all given 86,400 seconds every day, how you use them is up to you. 2. I Enjoy Run Commuting - It Makes Me Feel Good – Ironically, running makes me feel more energetic instead of less energetic. People think that I must be really tired from running so much (I generally run around 130km (80 miles) per week) but in fact, I feel more tired when I don’t run. It’s a great way to start the day. You get to work and you’ve already completed one task (running to work) so now that you have the ball rolling, it is easier to keep the momentum up and be productive. You feel good when you know that you have travelled to a place under your own power instead of pressing a gas pedal. Run commuting is good for my health; it helps me maintain an active and healthy lifestyle. During a medical exam earlier this week, my resting heart rate was 37 beats per minute. 3. It Saves Money - I abhor waste and continually strive to be as efficient as possible in all aspects of my life (efficiency with respect to time, money, energy, et al.). My wife, Emily and I share one vehicle (unusual by North American standards but perhaps typical or even excessive by European standards). When I first owned the car, it cost around $10,000 Canadian per year to own, which includes car payments, insurance, petrol and maintenance. Obviously, the cost of owning this car costs less now than it once did but remember that vehicle ownership is expensive. By run commuting, I ensure that Emily has the car so she can drive to school to teach. Even when Emily is away on vacation and the car is available to use, I still choose to run commute. 4. Run Commuting is Better for the Environment than Driving – When you run, you don’t pollute the environment burning fossil fuels. Run commuting allows Emily and I to share one vehicle which means one less car on the road polluting the environment. Running is also a lot quieter than driving, especially compared to a jacked up mini-monster truck with a modified exhaust. 5. Run Commuting Gives Me Time to Think – In the technologically advanced world that we live in with computers everywhere, phones ringing, emails coming in, etc, it is nice to “unplug” and just enjoy/embrace the sound of silence. You would be amazed at how many great ideas you come up with while running. I don’t listen to music on the run commute. I feel that it allows me to be more in tune with my body and it is also important to hear what is going on around you from a safety perspective. This short article has outlined the main reasons why I run commute. Please feel free to email me with any comments or suggestions. Sometimes racing is rough; okay, maybe it's always hard. But I love that my feet take me on an adventure and I get to see the world from a different perspective. Racing in Guadeloupe, France was an incredible experience and I was lucky to have my sister, Kendra Brennan there to share it with. Something about racing pulls me in, the intangible drive to capture everything aligning. Those "magical" races when everything goes right are addictive, it's what keeps me hungry for more and terrified at the start line. Within every race, I get to a point where I have to make a choice to either settle or go to the "dark place". The challenge is recognizing when the choice to settle/push is presented. When my legs are burning and I'm gasping for air, it is difficult to recognize that the "dark place" is within reach. Maybe that's why I have a love/hate relationship with racing and get nervous to the point that I feel sick to my stomach; my body knows how much it's going to hurt. I'm still learning to stay calm and have found it helpful to read articles about racing, draw, attempt to write poetry or listen to music. What helps me most is remembering to be grateful that so many volunteers, coaches and athletes have created an incredible community that bring us together to do what we love. At the end of the day, we're all trying to do the same thing - push ourselves and do the best we can. Whether you finish first, 50th or last -- we're probably all feeling a similar level of pain and sense of joy when we cross the finish line. I don't like setting big goals and focusing solely on an external outcome. I would rather learn to appreciate and understand the cycle and process of what I am doing day-in and day-out. I set goals for myself going into big races but they are usually in the back of my mind, I am focused on the smaller steps and the moment I am in. Racing at the NACAC Championships I did just that, I wanted to win but most importantly I wanted to get to the start line healthy, feeling thankful and be prepared to get to the dark place (I may have had a few thoughts about winning some euros and blowing them on travelling around the island with my sister too...). Getting to Guadeloupe from Cold Lake, Alberta was quite the ordeal. I left Cold Lake at 5:30am on the military shuttle bus known as the IBBS in military terms. (IBBS -- and I am not talking about Irritable Bowel Syndrome folks). I arrived at the Edmonton Airport after 5 hours on the bus and waited around for a few hours before flying to Toronto. I then met up with my sister Liza Tallen and we shared a lot of laughs over a few pints. It was so nice to catch up, being a military spouse means living away from the famjam so I cherish every moment I get with my family. We didn't cherish waking up to bed bugs on the walls at the airport hotel. It was gross, but I got a few free nights out of a nice hotel so I was stoked; I like free stuff. Next morning I flew from Toronto to Barbados, spent the night in Barbados and flew the next morning from Barbados to Dominca and finally Dominca to Guadeloupe. It was a long trip that took three days total. I enjoyed meeting other runners and we shared plenty of laughs trying to understand one another. I was absolutely spoiled by the NACAC race organizers, from getting to and from the airport, meals and accommodations couldn't have been any better! The race itself was rough, it was quite warm and I started off too quick. I ended up running solo for the second half of the race and really had to focus on staying in the moment to get through it -- the wheels rolled off and down the hill somewhere out of sight, leaving me lactic and done like dinner. I broke the race into segments and focused on staying positive which really helped pull me through. I couldn't help but smile when I saw the long awaited finish line and my sister, Kendra Brennan waiting for me. I was so happy to see her. I arrived back in Cold Lake to frigid temperatures and pretty landscapes. The other day I tossed my camera in my pack and hit the Iron Horse Trail. As I stood on the trestle bridge I watched as the steam rolled off the river and a moose swam underneath me. It was one of the most beautiful things I've ever seen. Nature always resets and calms me and I feel so lucky to have connected with it. Massive thanks to the team of fantastic people at NACAC and the town of Petit Bourg for treating me so well. It was a true honour to race in Guadeloupe. Coach Matt Clout, for intricately putting training together for me; I am so thankful for your help. I would not have had this opportunity if were not for all of your help, thank-you! My famjam, for cheering and supporting me every step of the way-- thanks for caring! And finally, my husband Matt Setlack for pushing me to work harder and encouraging me every step of the way. I was also really touched by all of the people who reached out to wish me luck and congratulate me after my race, it meant the world to me - thanks! Before arriving in Flagstaff, I received some exciting news from Athletics Canada. After finishing off a row of Peak Frean cookies, I checked my email and was beyond thrilled to discover that I was selected to represent Canada at the NACAC 10km Championships in Guadeloupe, France. Athletics Canada used the national rankings over 10km road times to go and at the time I was ranked second in Canada over 10km. Time to put the cookies down and start training. I have been very fortunate to spend time training at altitude in Flagstaff, Arizona, USA with Team West Coast Endurance for 3.5 weeks in September. It was great having elite marathoner and team mate Erin Burrett there in addition to my coach, Matt Clout. To get to Flagstaff I took a flight from Edmonton to Phoenix, Arizona and then drove two hours to Flagstaff. I stayed in an excellent location just off of Lake Mary Road with close access to trails. I naively arrived with fresh legs and my handy little book on hiking trails in Sedona and Flagstaff with the intention of bagging a few peaks. Needless to say, running over 90 miles per week and putting in challenging workouts is pretty exhausting and the book got a little dusty (mostly used as a coffee coaster). So, why train at altitude? Training at high altitude triggers a production of red blood cells which help deliver more oxygen to your muscles and this makes you run quicker. At the end of the day, hard work is hard work and pavement is pavement. I truly believe that regardless of where you live there will always be obstacles. However, Flagstaff's Urban Trail System (FUTS) city-wide network of trails made my training a little more enjoyable than HWY 897 in Cold Lake and running at 7000FT makes sea level feel like a piece of cake. The trails in Flagstaff were beyond epic, 56 miles of clay and dirt trails that weave through the town connecting parks, national forests and canyons. It was beautiful. Without trails I'm not sure if I would even run, connecting with nature is a big part of why I get out and run everyday. This winter and "fall", I'll be connecting daily with the PRECOR, so I better find another reason to run. Music will get me through it. Thankfully, Flagstaff is a pretty hip little town and it seems there is always something going on, I was lucky enough to it be there during SciFest so I made my way to as many events possible. I need balance, the biggest challenge of spending time in Flagstaff was living like an elite and running, napping, running again, going to bed early and doing the same thing again the next day. I'll be honest, the naps didn't happen--at all. Regardless of how tired I am, I can't let the best part of the day get away on me. The last three weeks could not have gone any better and I have logged more mileage than ever. Workouts have been going well too. Having Coach Matt Clout there was awesome, it was nice to have his help in workouts and it was a good reminder that I need to push a little harder in workouts when I'm in Cold Lake. I was a little hesitant about coming to Flagstaff and almost cancelled the trip as three weeks before arriving in Flagstaff I found out my ferritin levels were 10! Ever since then, I have been extremely diligent with my diet, at times consuming more iron than I probably need. After one week of taking iron supplements I felt like a different runner and I'm feeling like my old iron enriched self again. The plan was to train at altitude and go after a fast time at the ScotiaBank Toronto Waterfront 1/2 Marathon. Before leaving for Flagstaff I received an email from Athletics Canada with an invitation to compete at the NACAC 10km Championships in Guetaloupa, France. I'm really thankful for this opportunity and cannot wait to lace up my flats and put on a Team Canada singlet again (even though my uniform is stuck in the post office, Cold Lake snail mail - things take unusually long to get here). I'm looking forward to making it hurt, running hard and going for the course record that Laura Battering set last year.